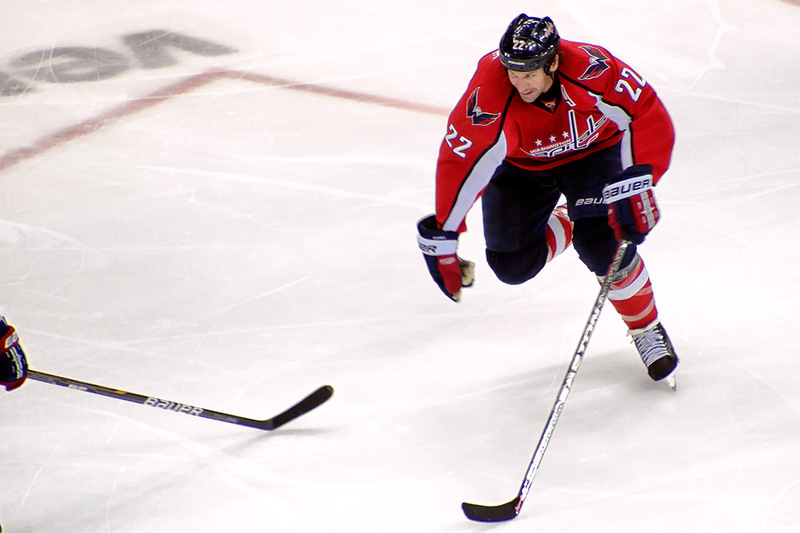 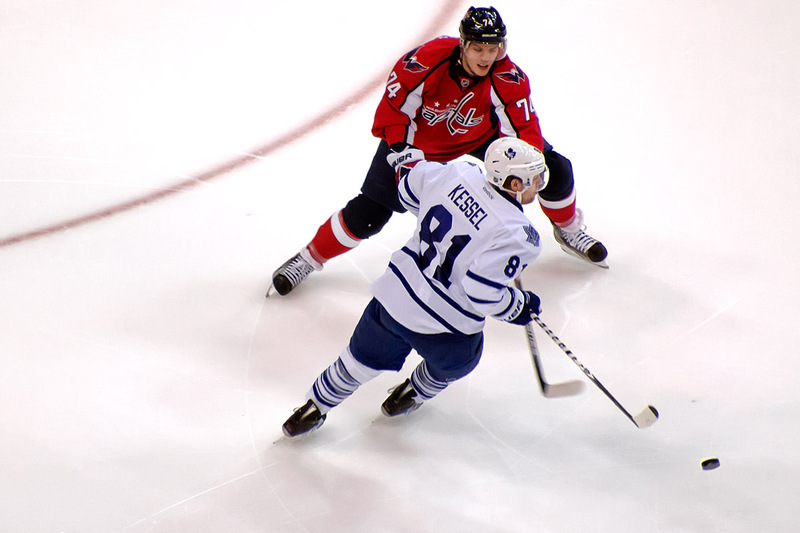 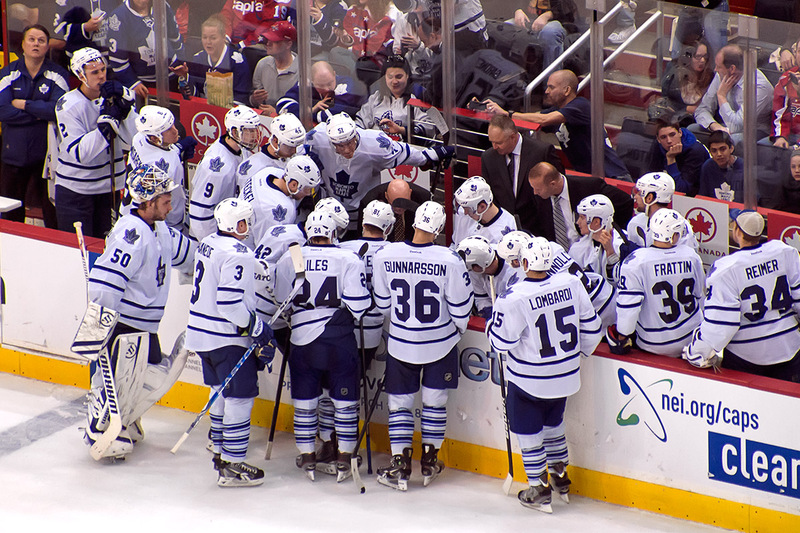 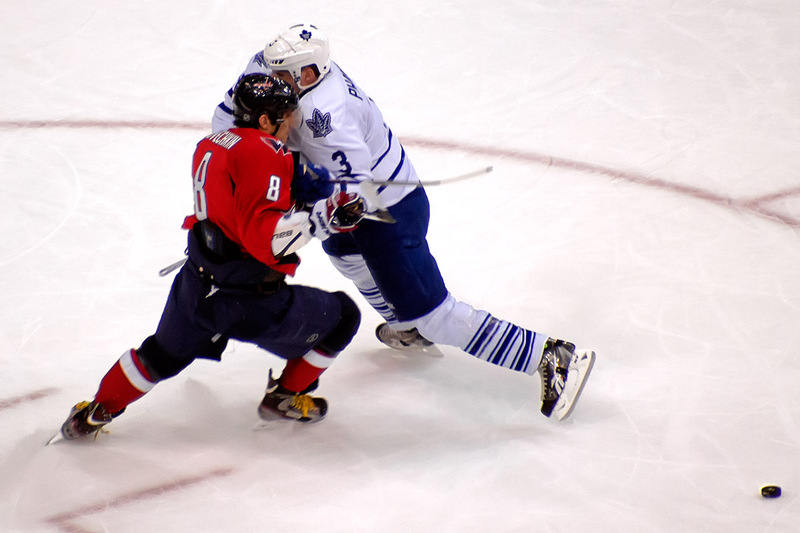 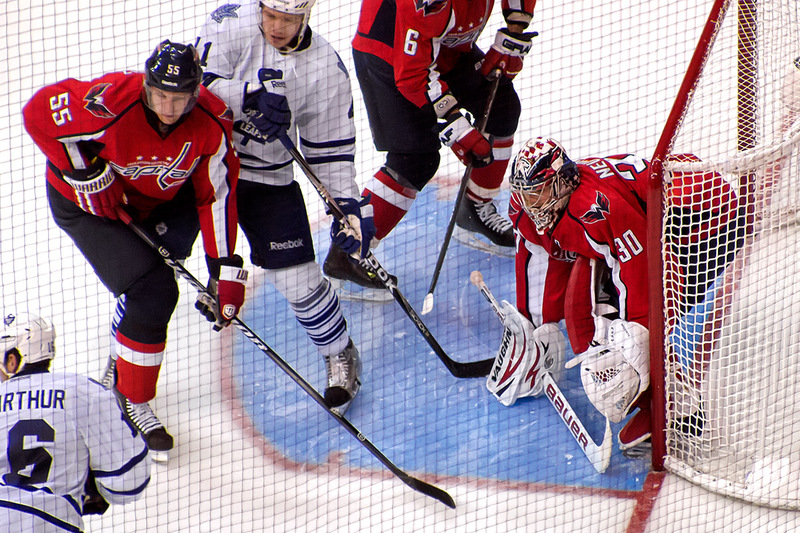 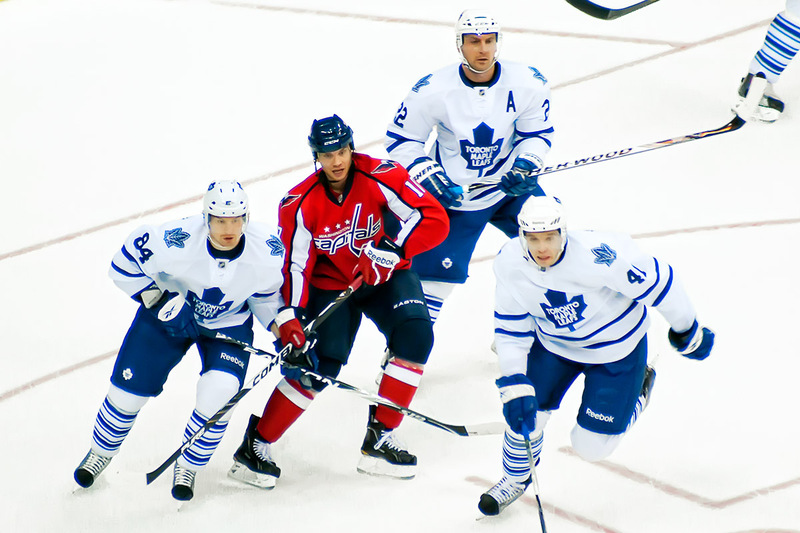 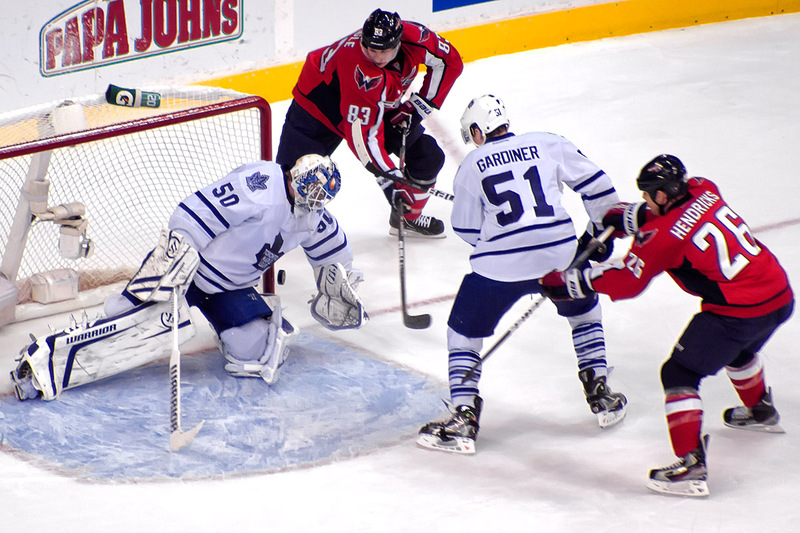 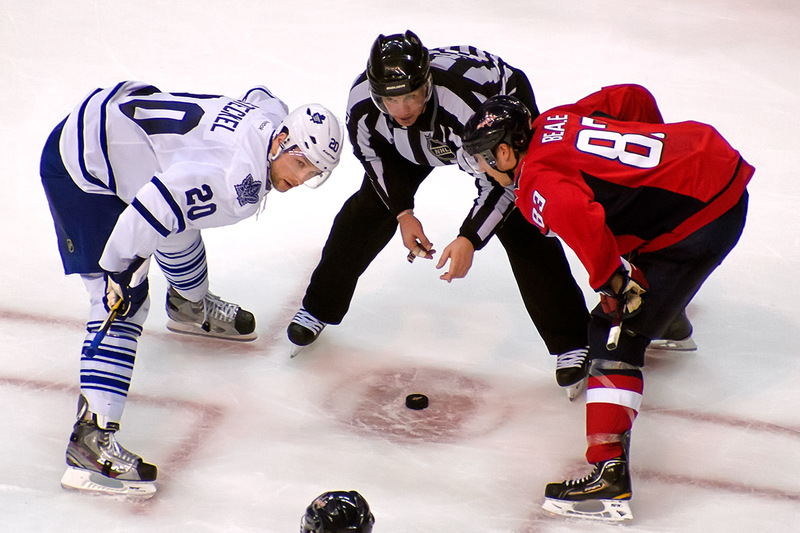 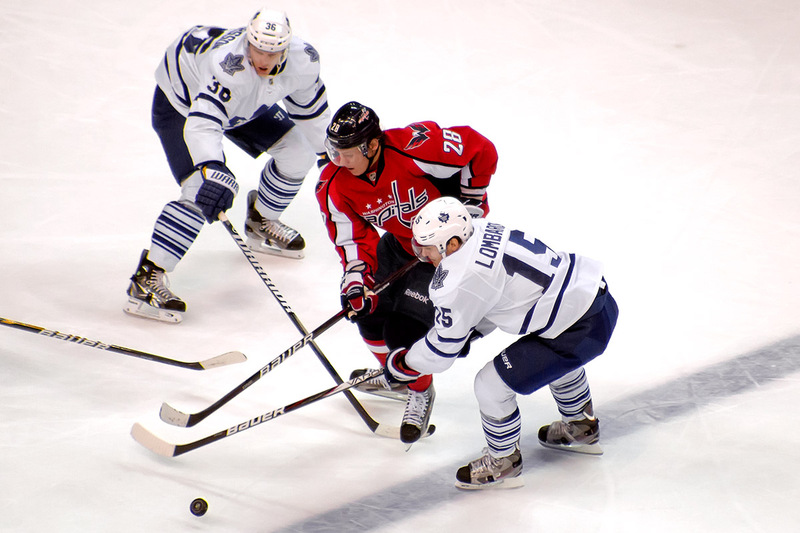 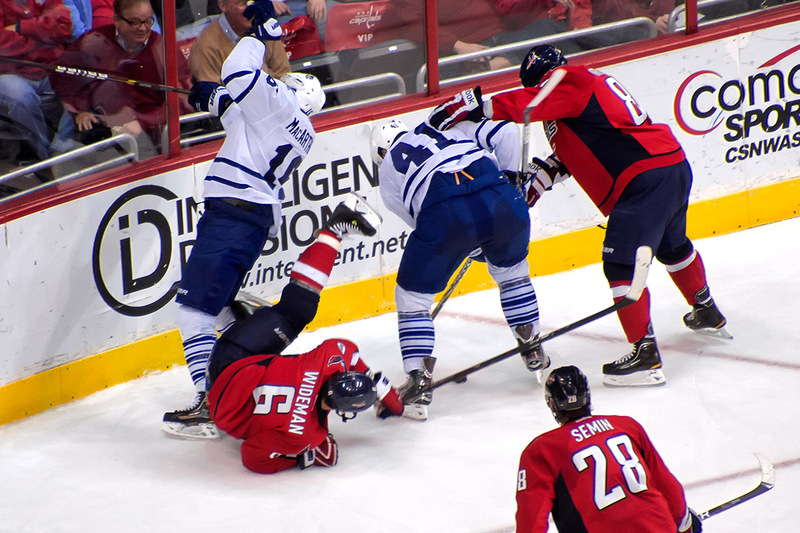 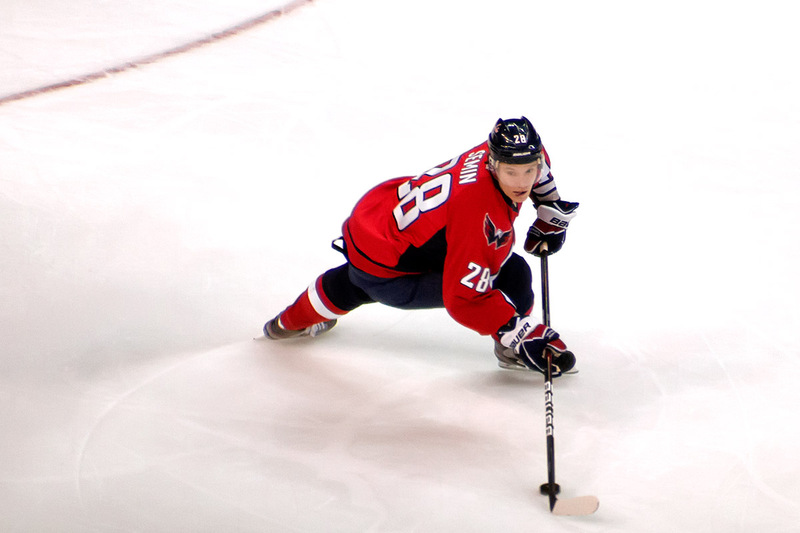 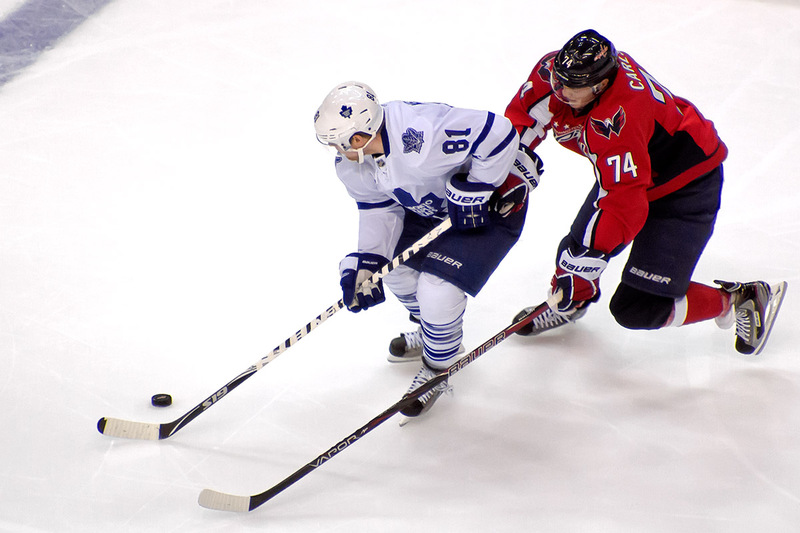 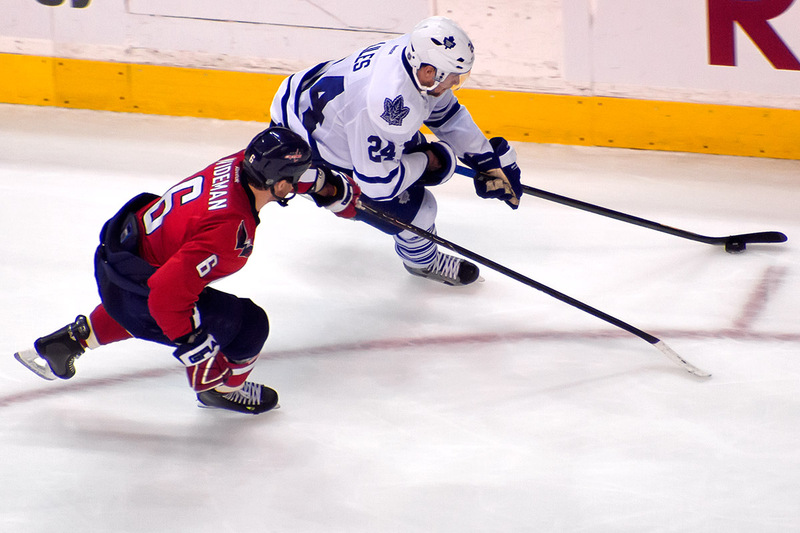 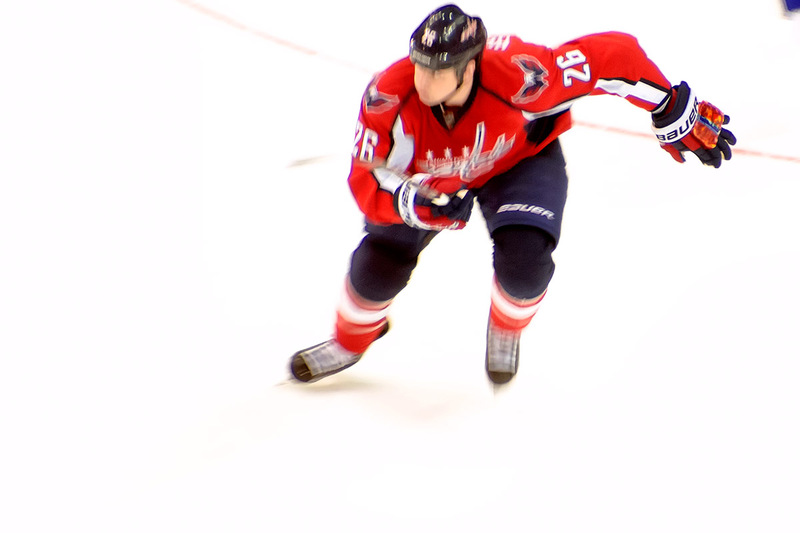 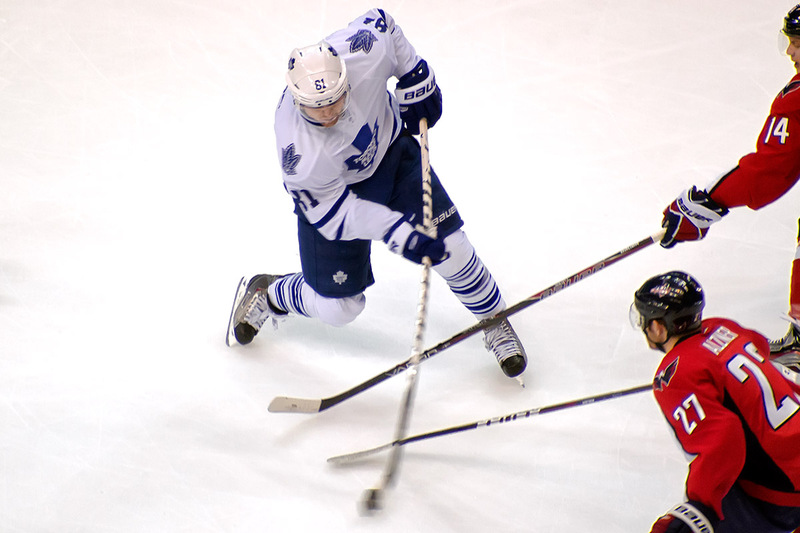 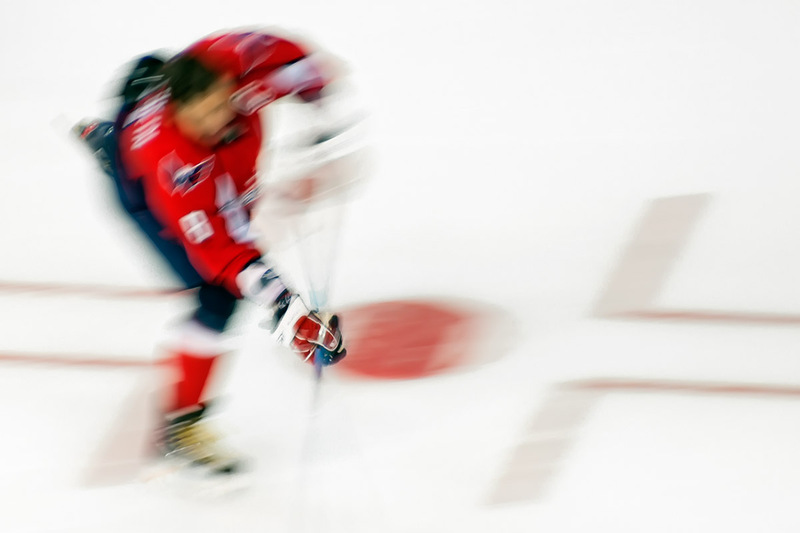 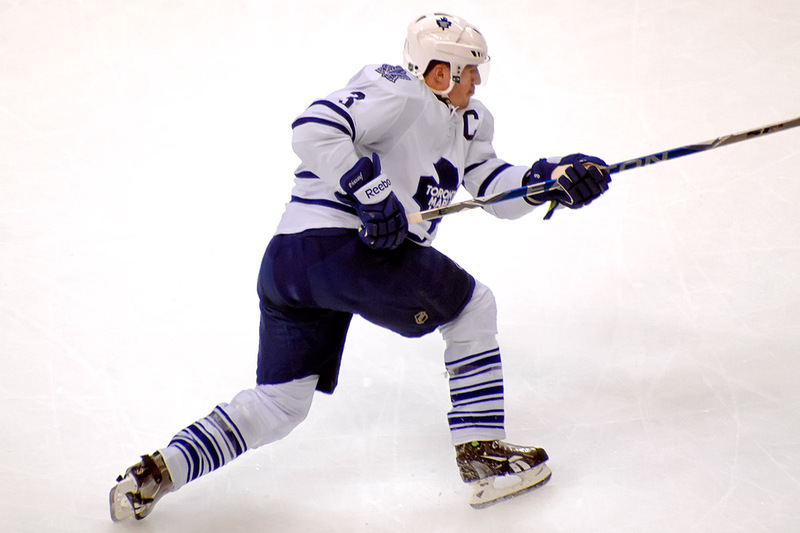 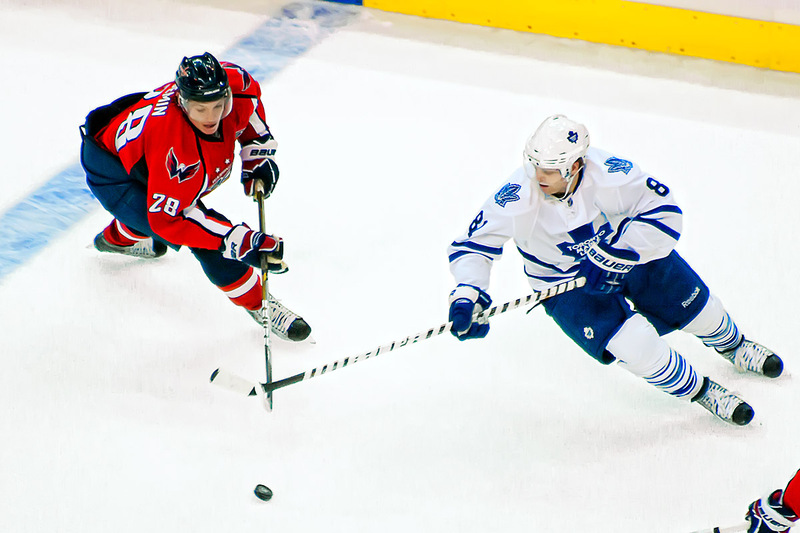 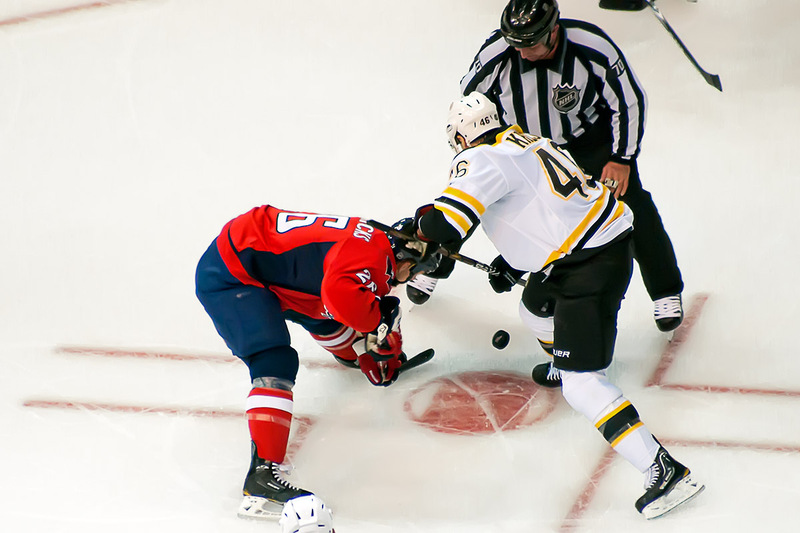 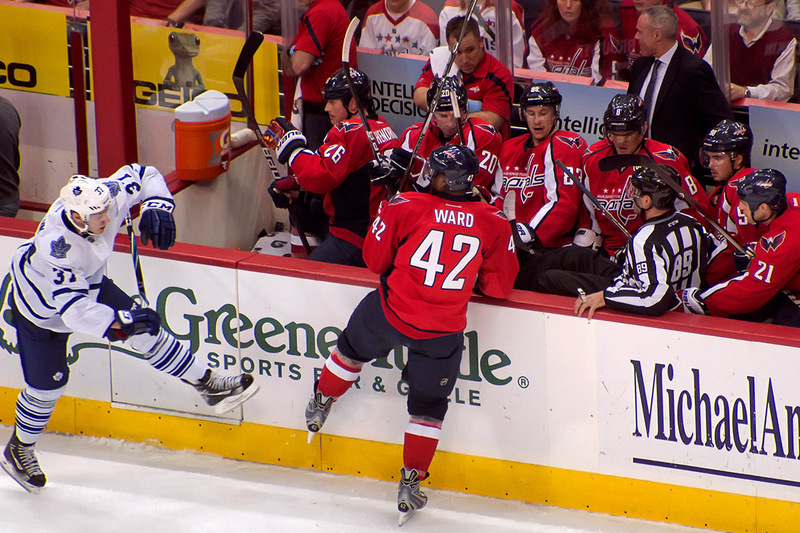 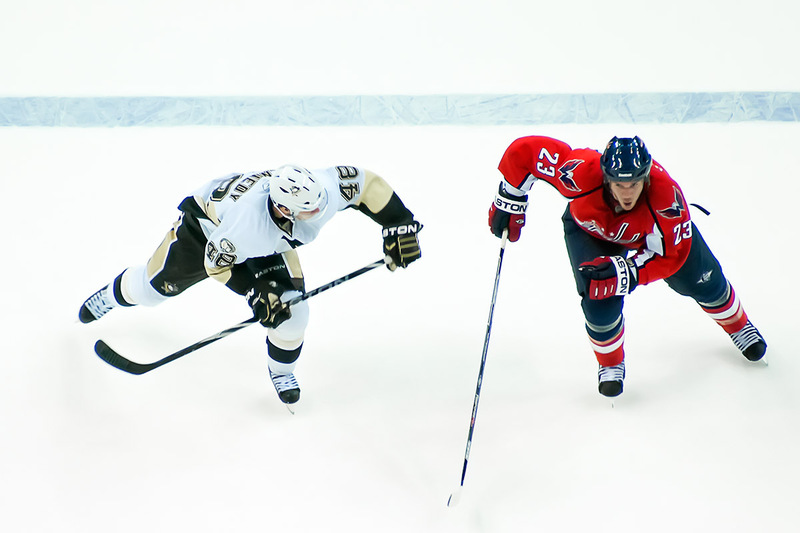 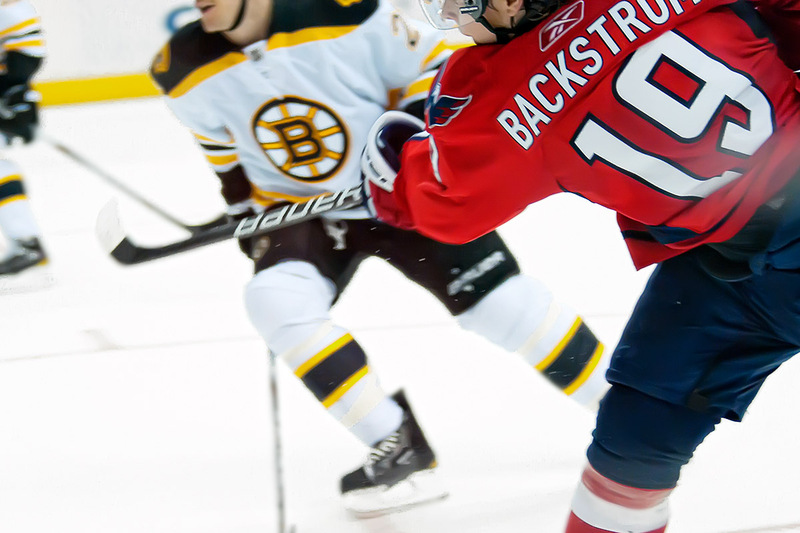 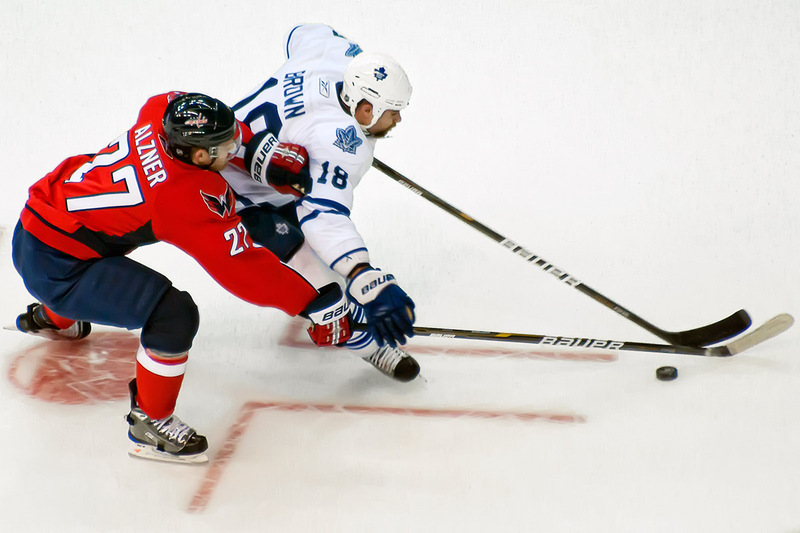 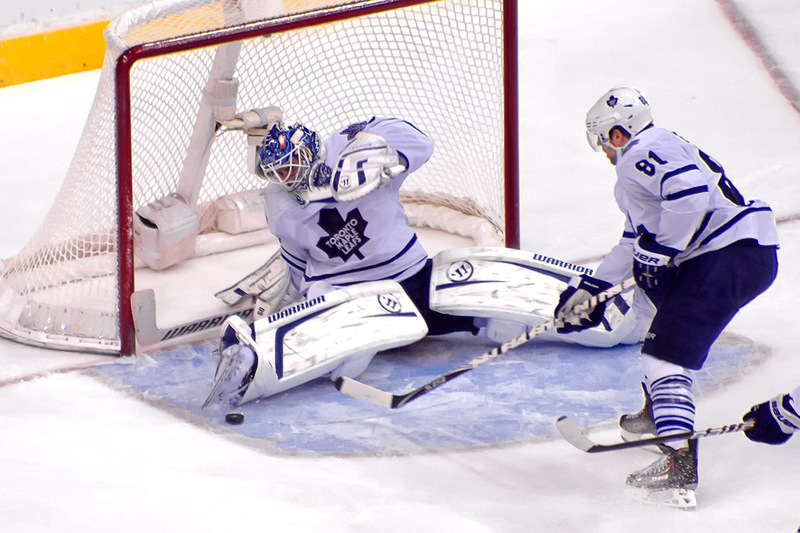 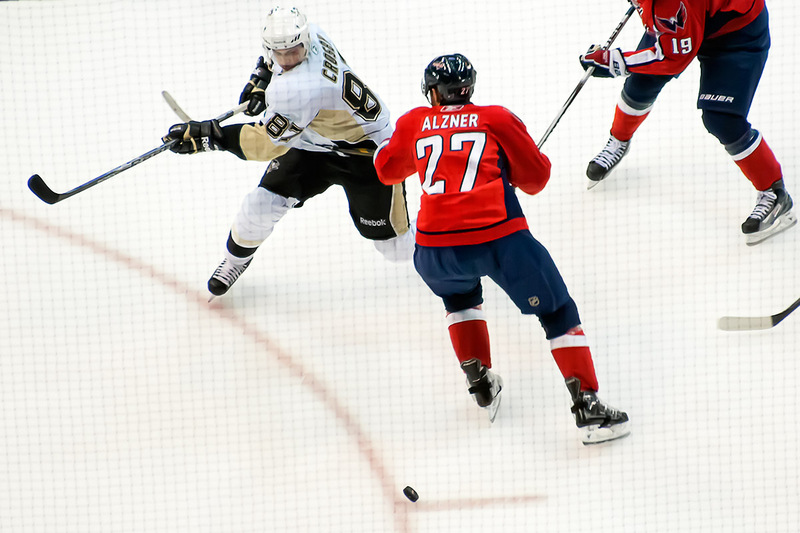 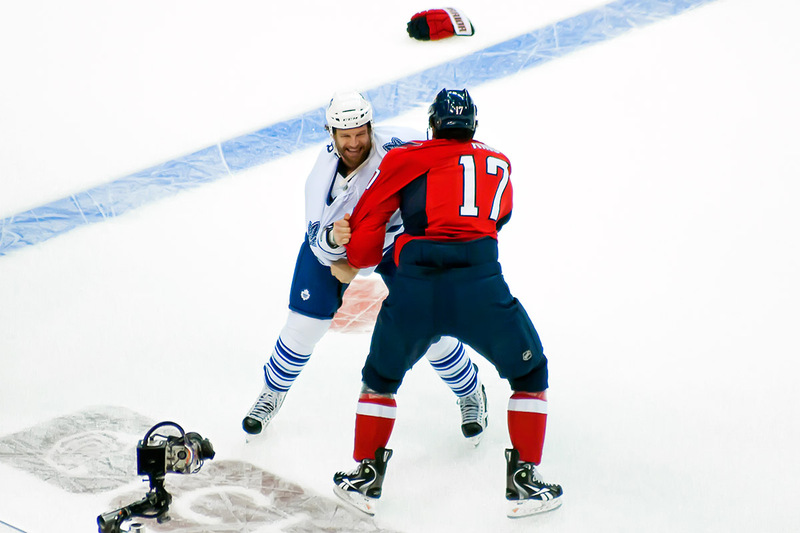 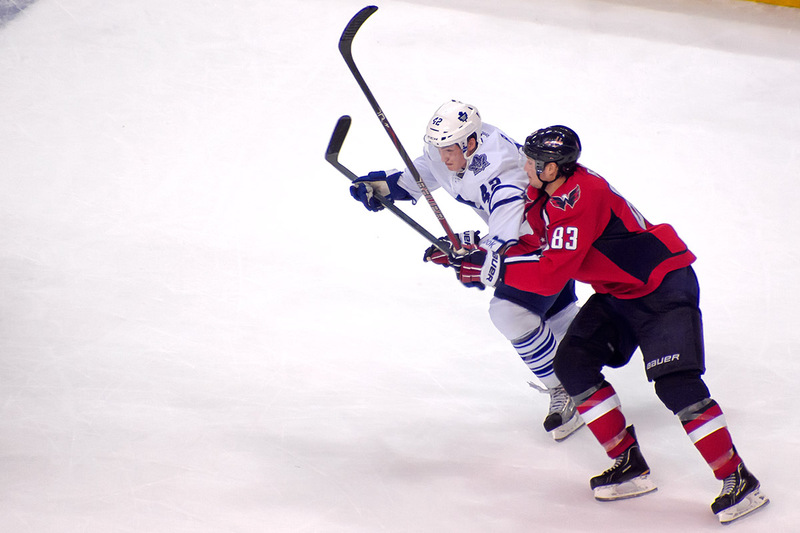 Watching the Capitals at what may be their best in their current form at this time may not be as fun and exciting as when they were at their best in 2009 or 2010, but it sure was fun to watch yesterday’s game agains the Toronto Maple Leafs. 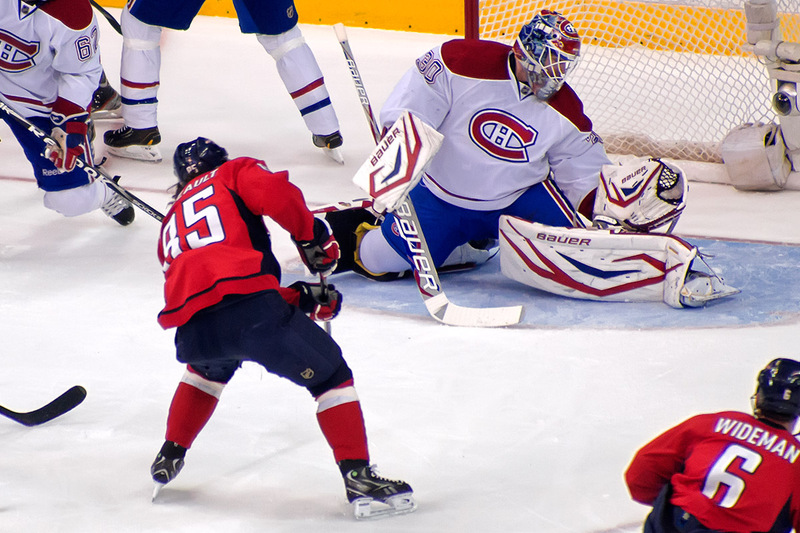 There was no angst, no doom and gloom, no waiting for a shoe to drop…even when Mathieu Perreault put them up 2-0 in the first minute of the third period. 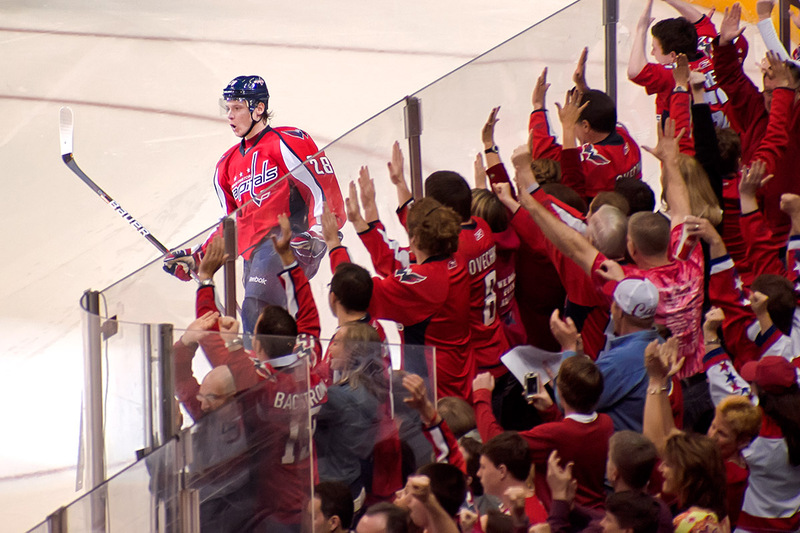 That was kind of surprising given the Capitals recent history with 2-0 leads. 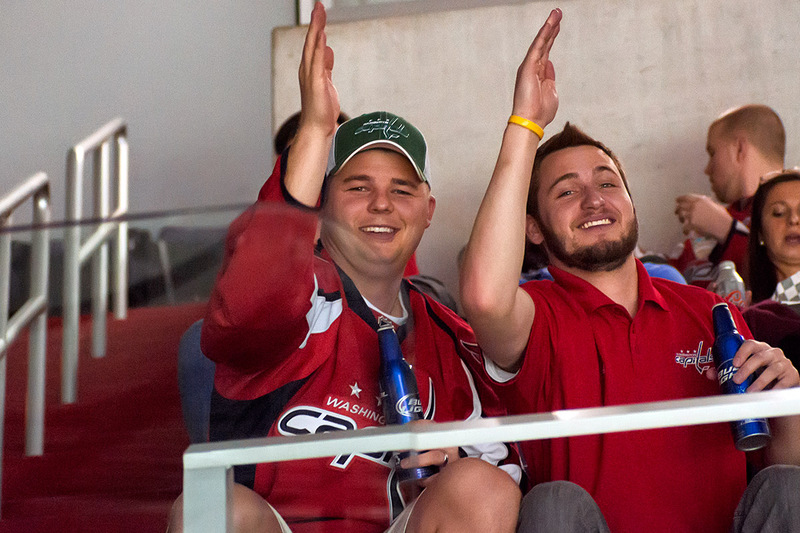 Something about the game felt right. 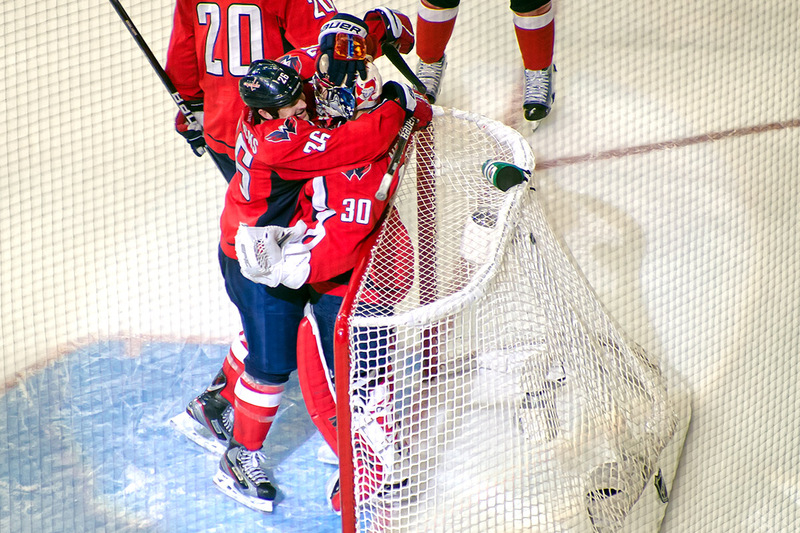 They were going to win. 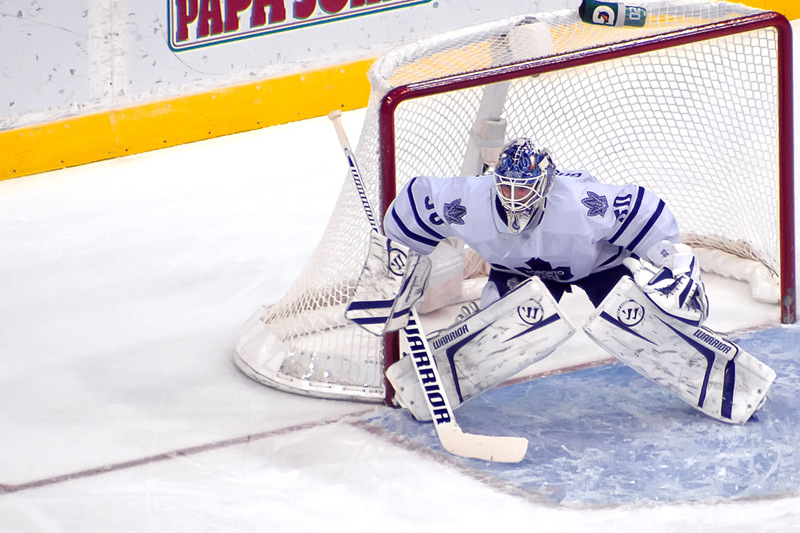 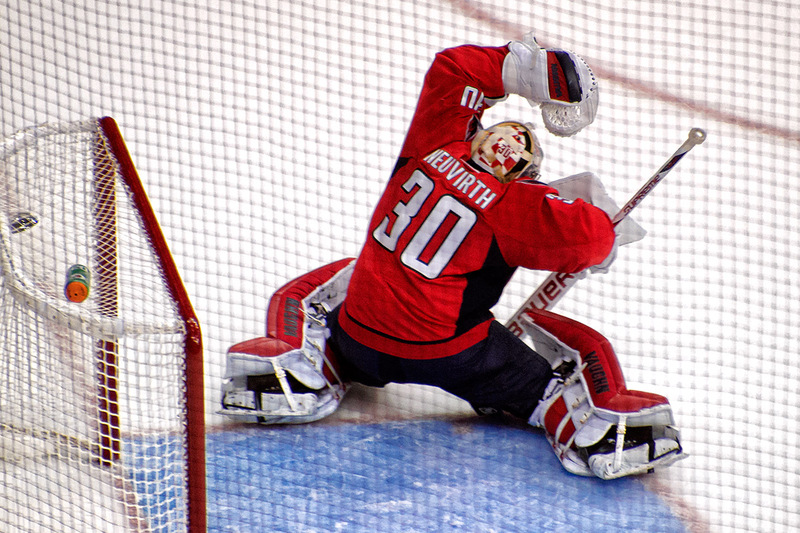 And give Michal Neuvirth a shutout victory in his 100th NHL game. 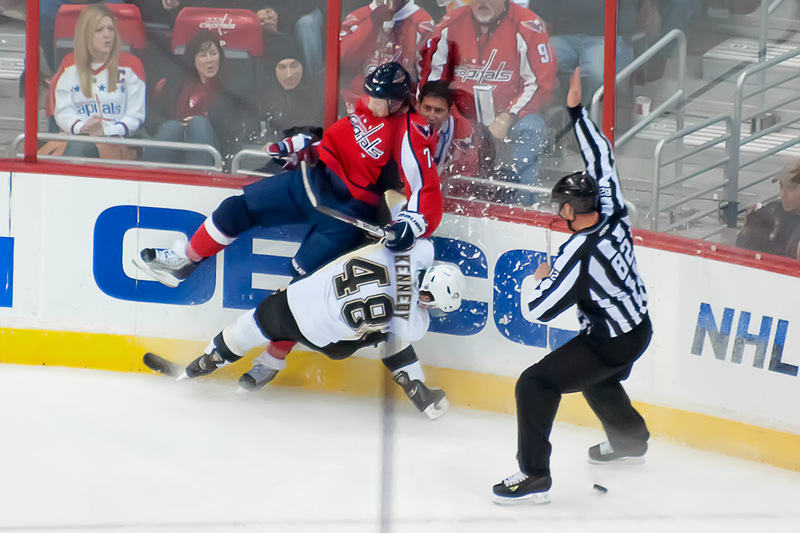 And there was the hitting. 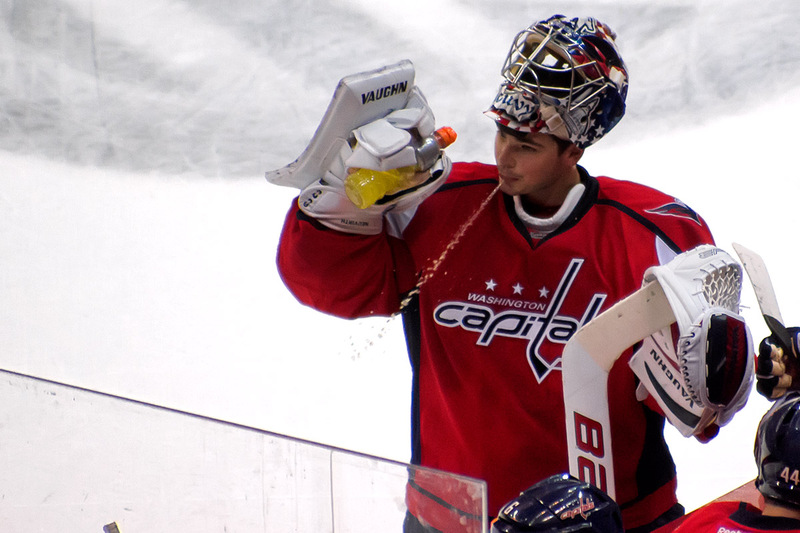 Which was good. 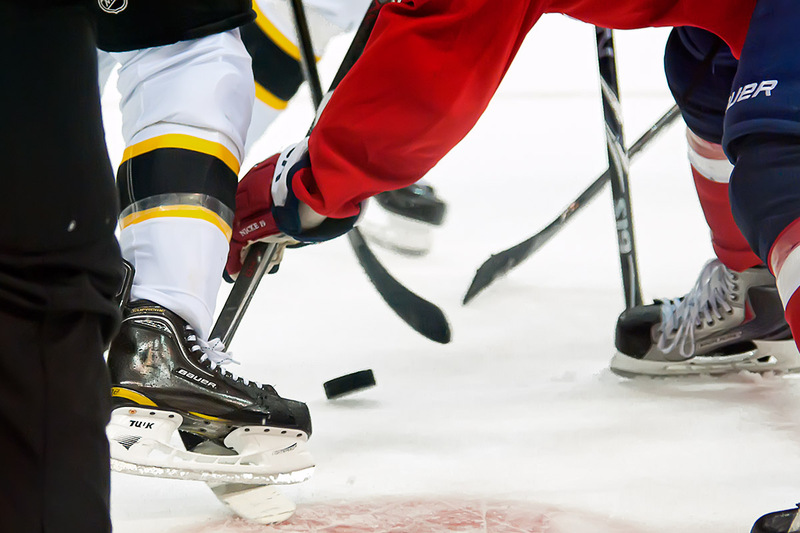 Read more at the regular places that tell their stories with words like On Frozen Blog, Ed Frankovic, Japer’s Rink, District Sports Page and Russian Machine. 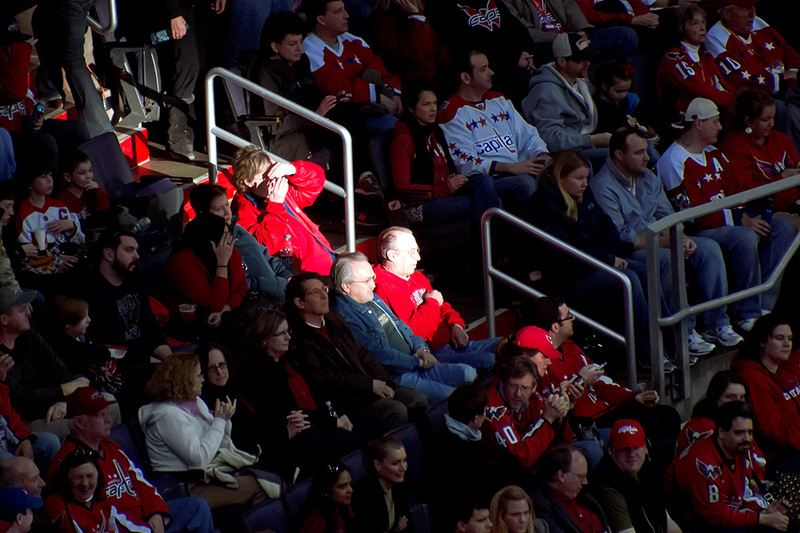 Check out my photos below or on flickr and thanks for stopping by! 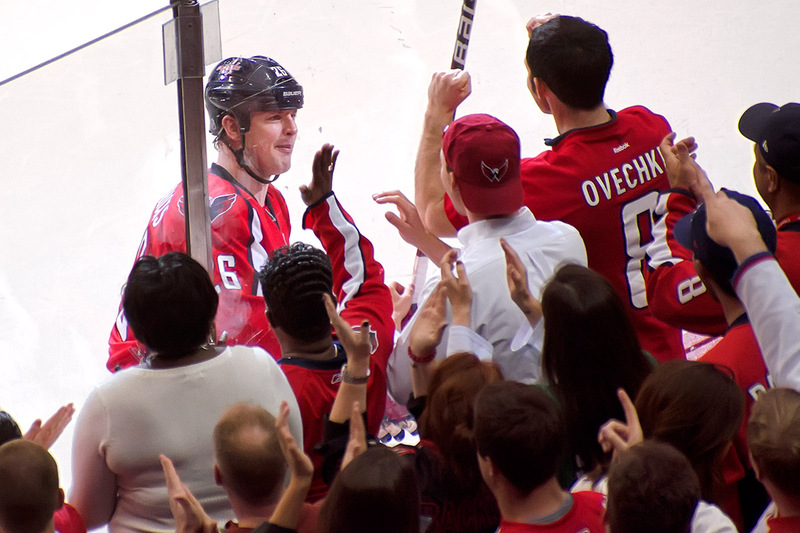 More like this one, please. 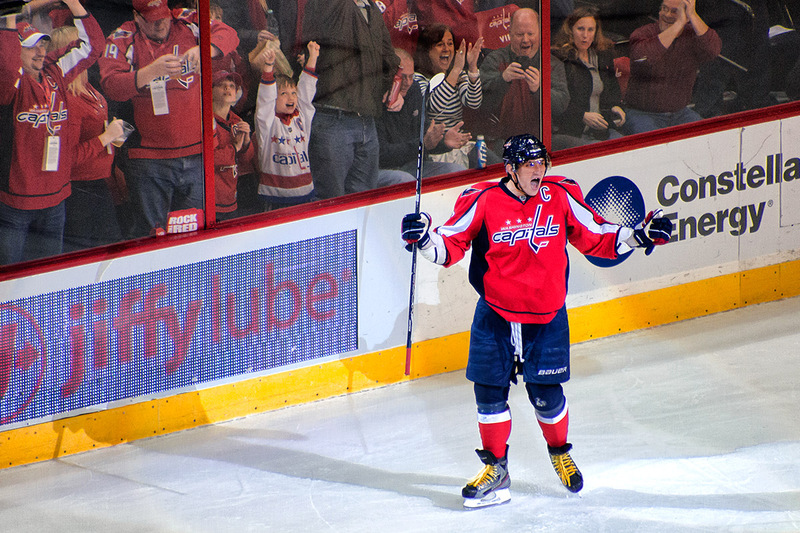 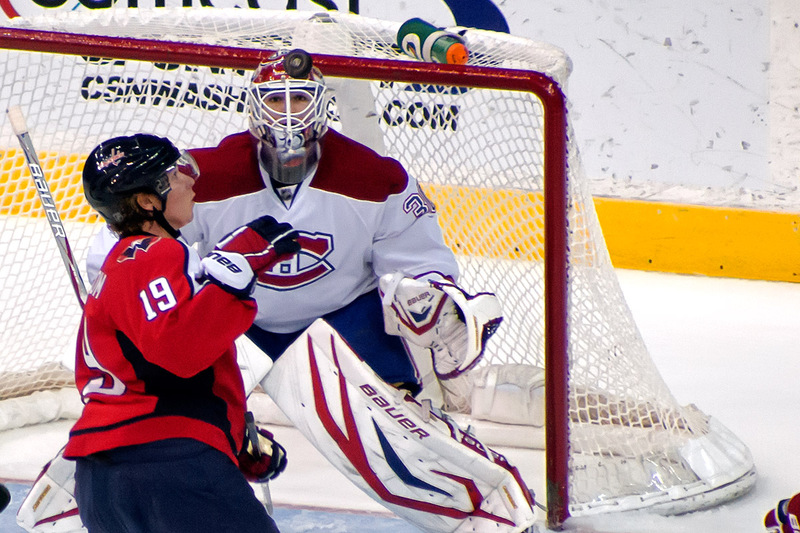 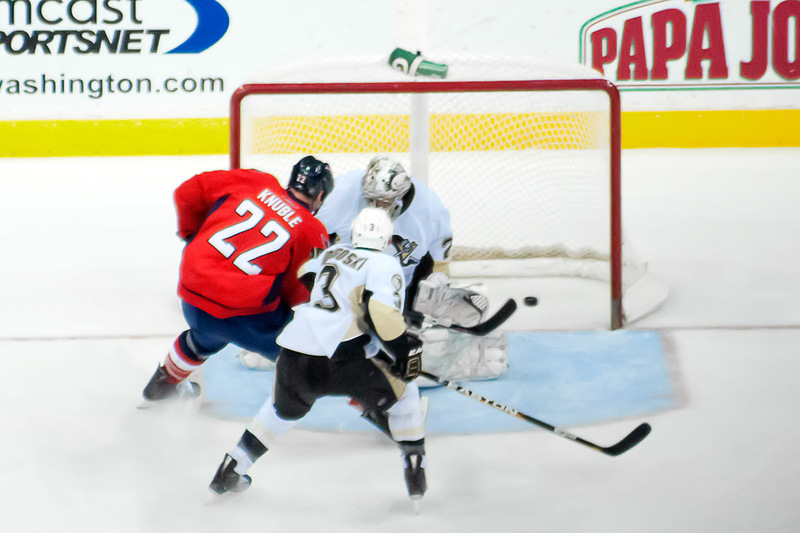 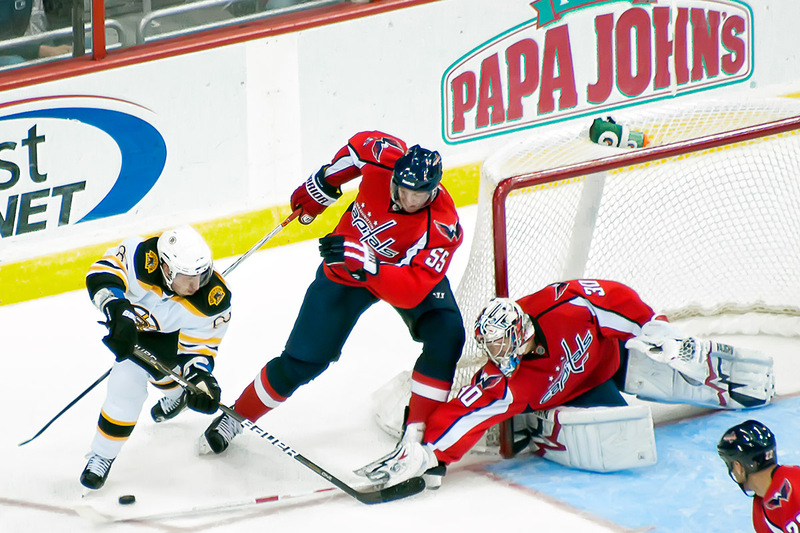 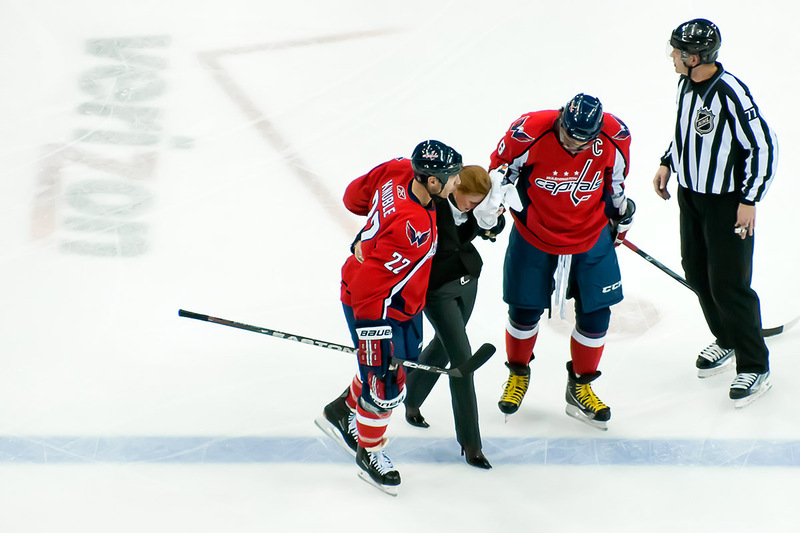 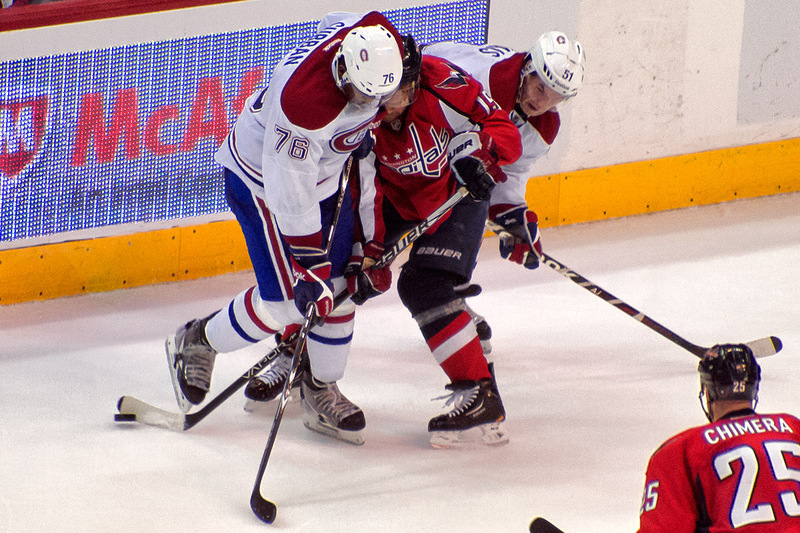 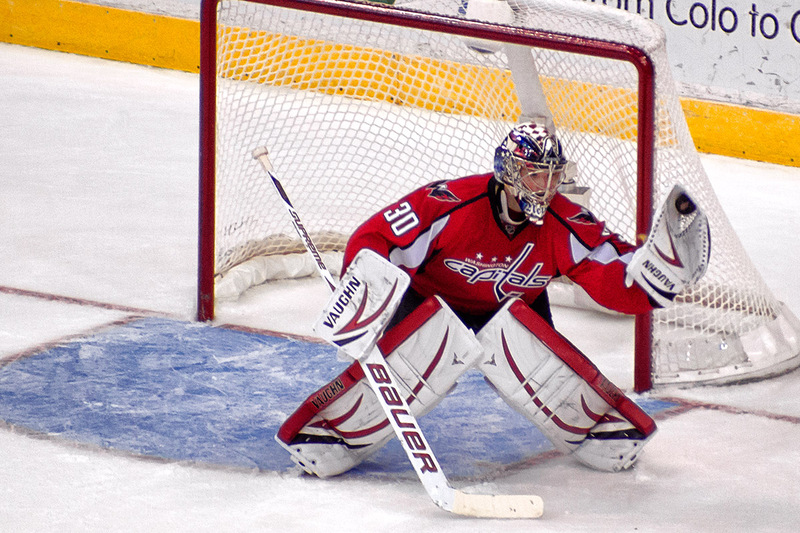 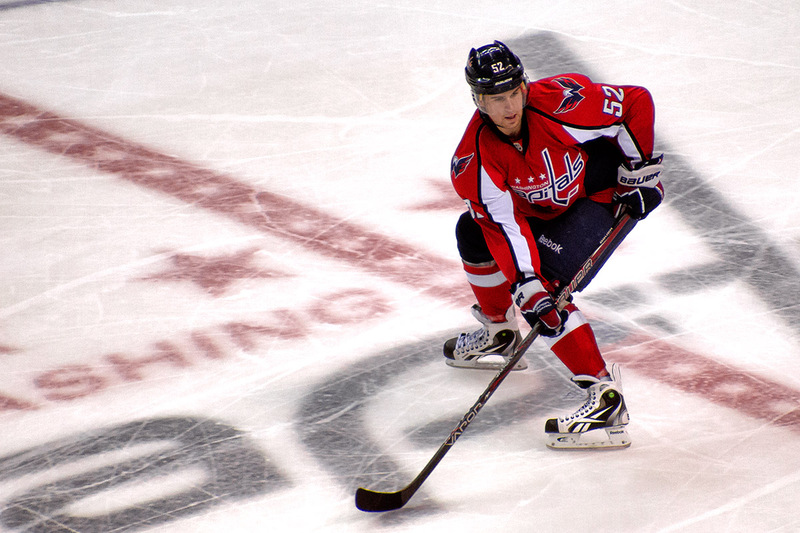 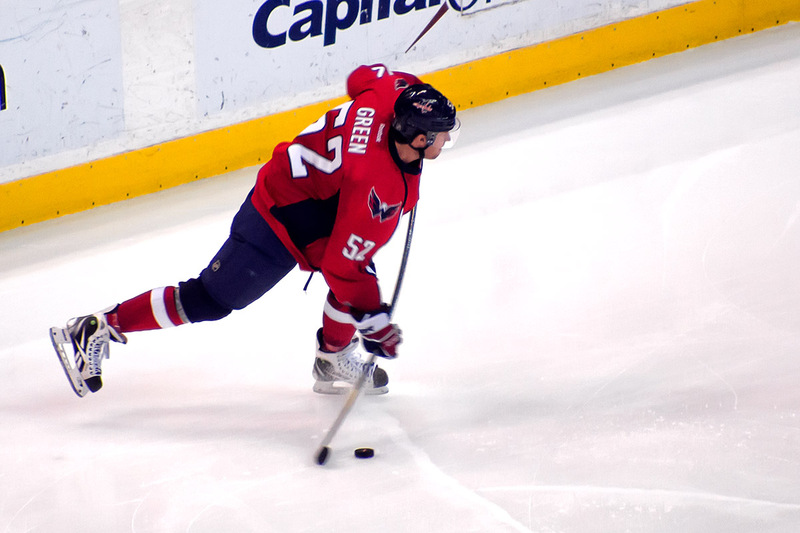 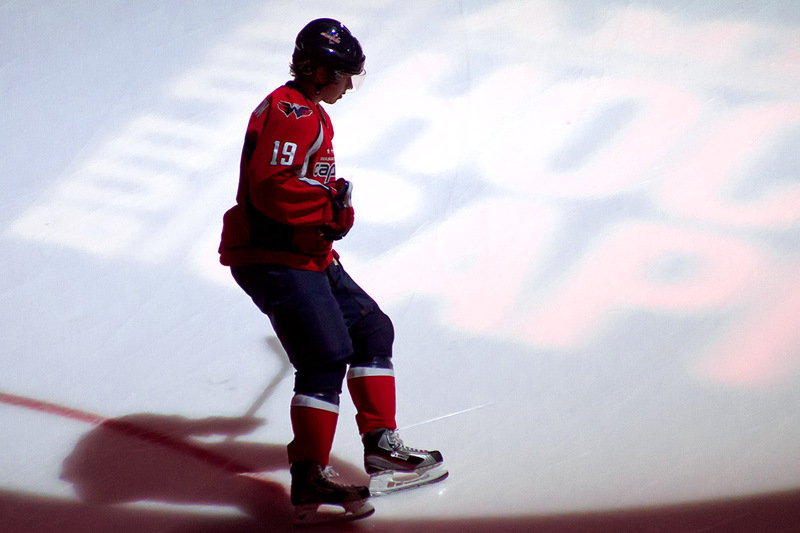 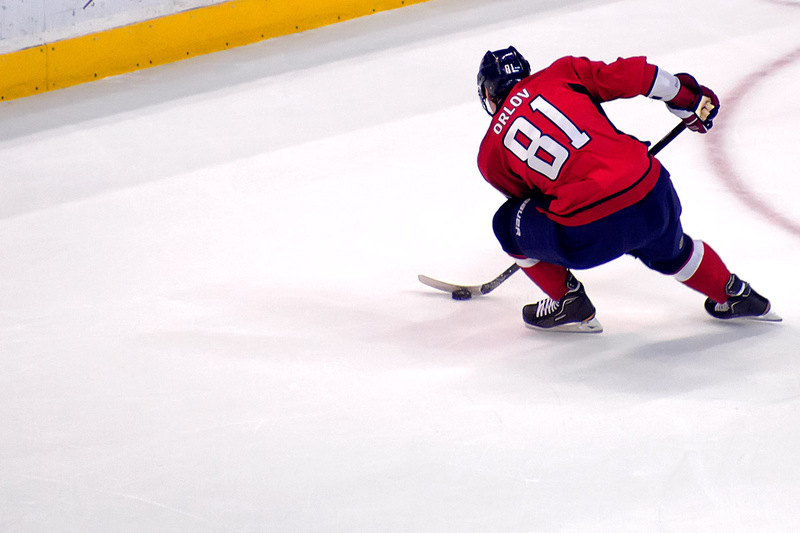 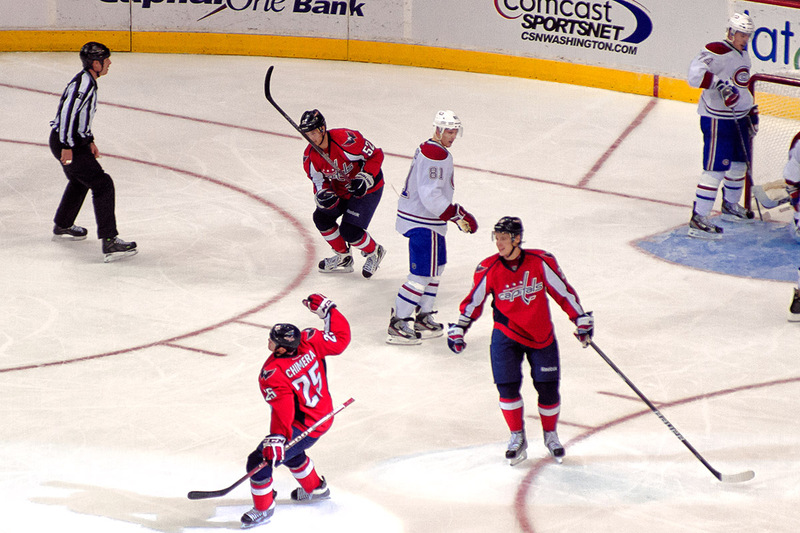 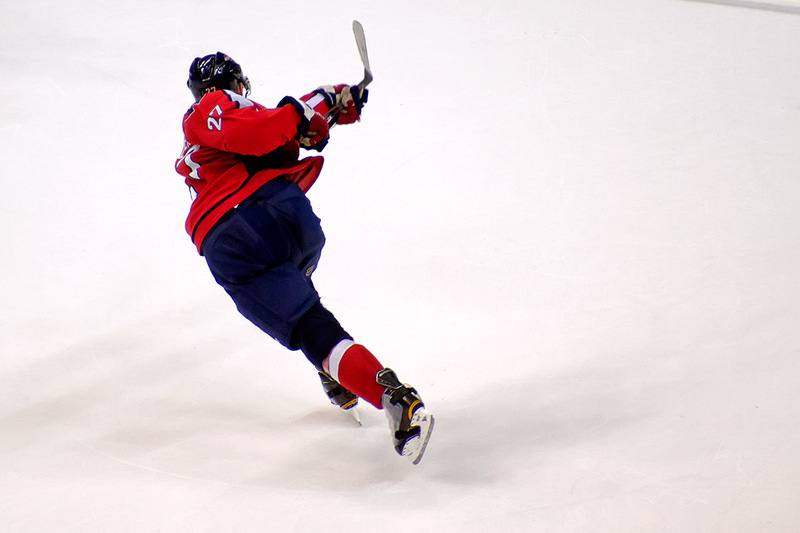 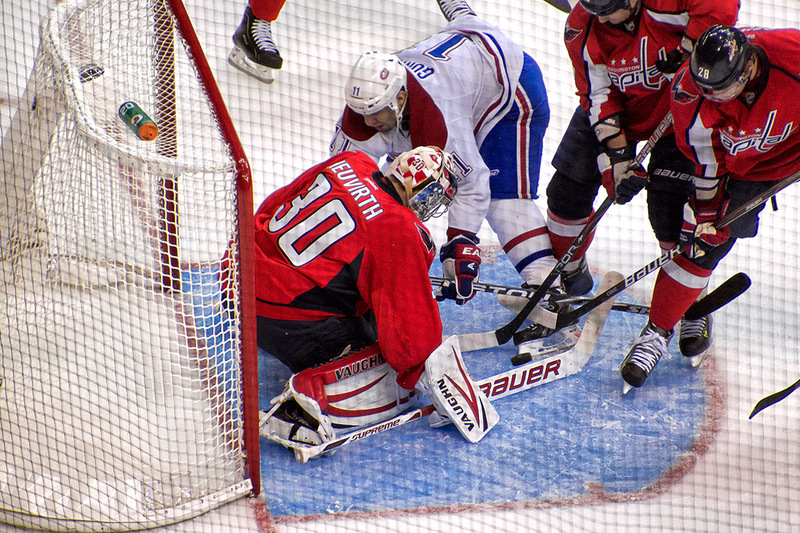 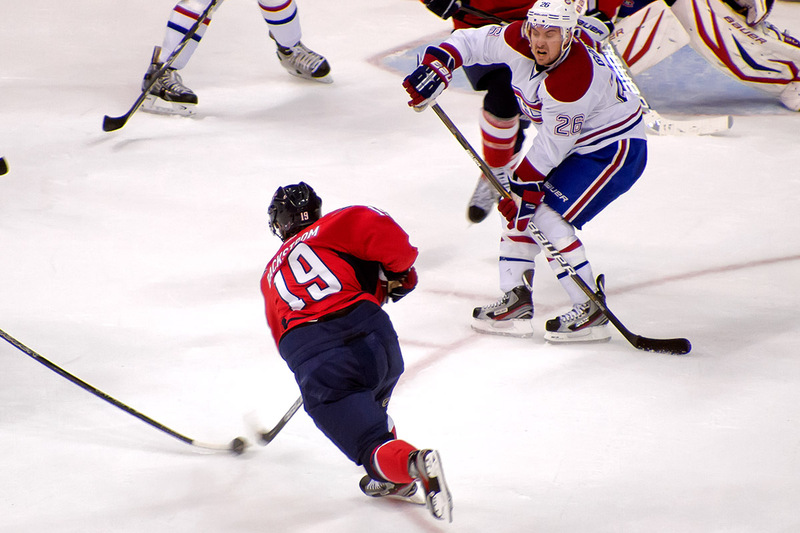 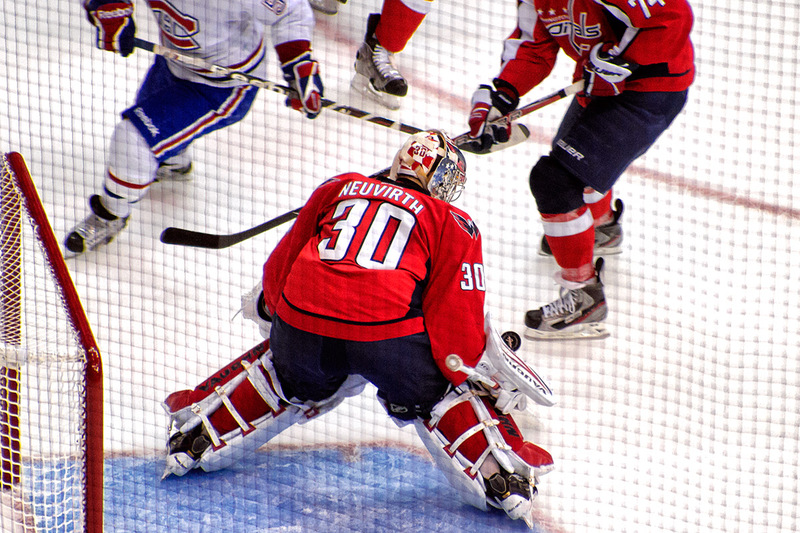 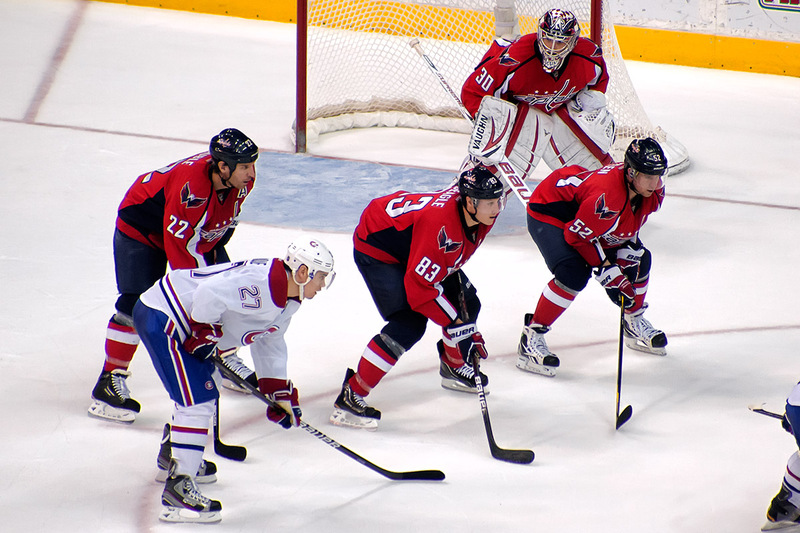 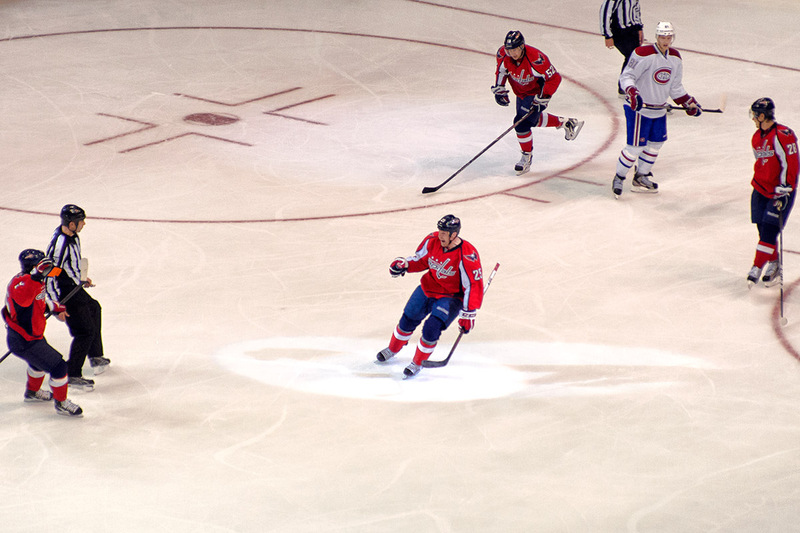 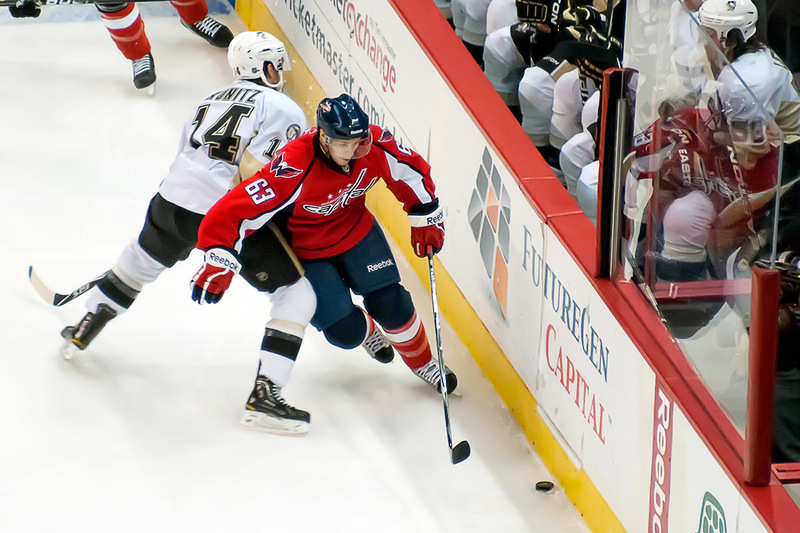 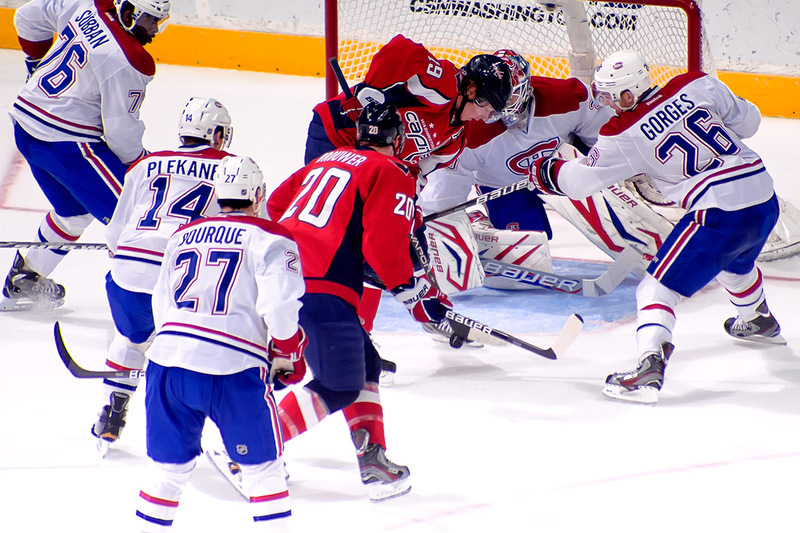 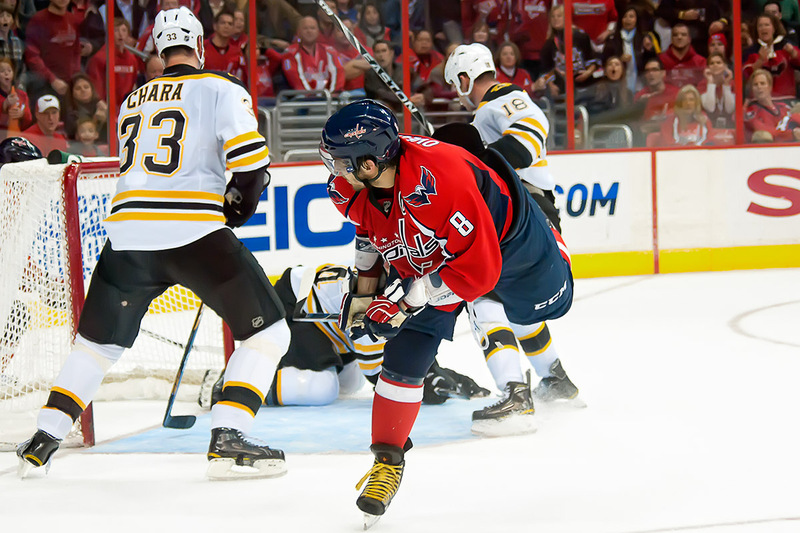 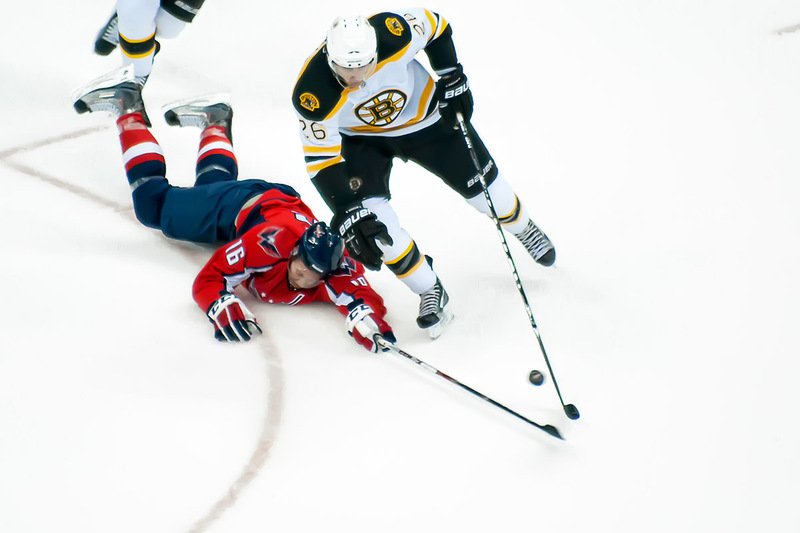 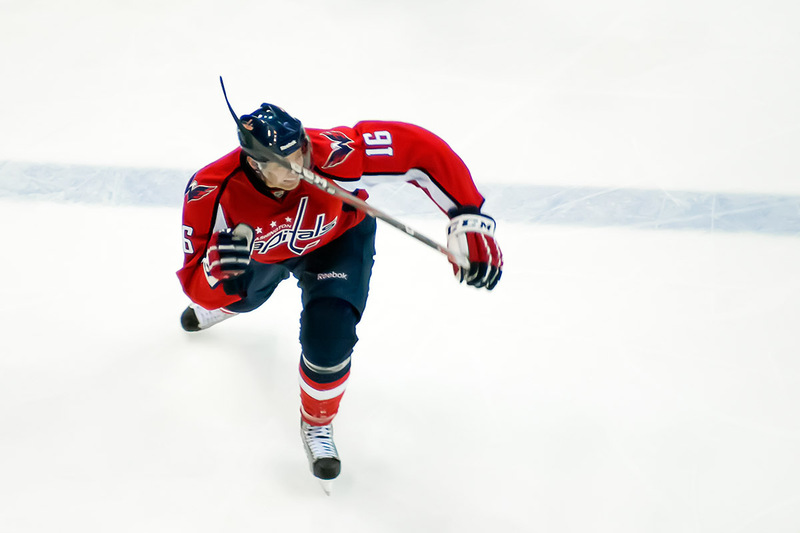 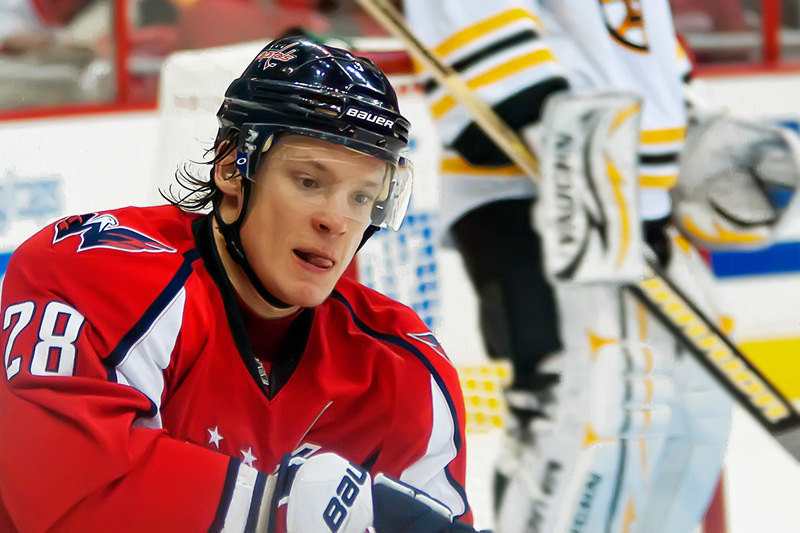 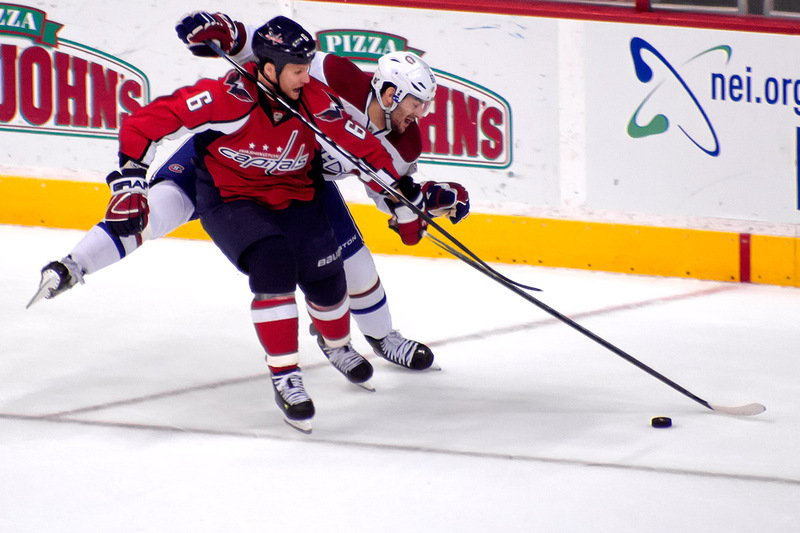 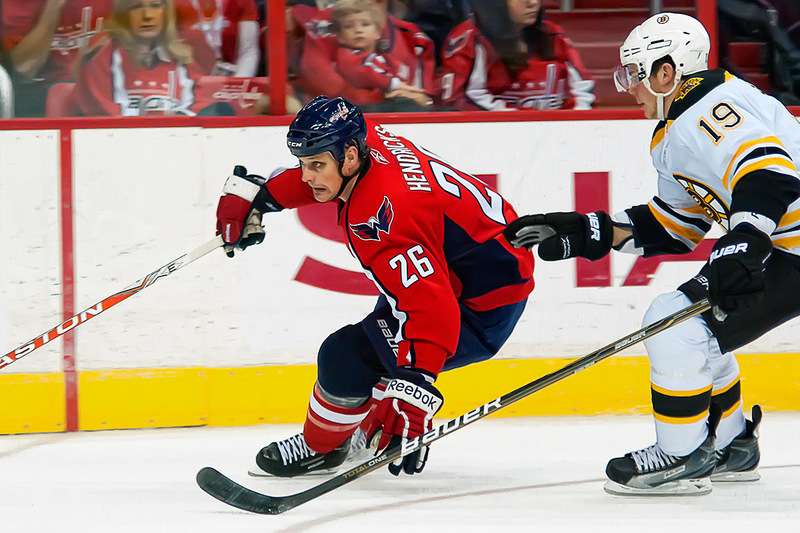 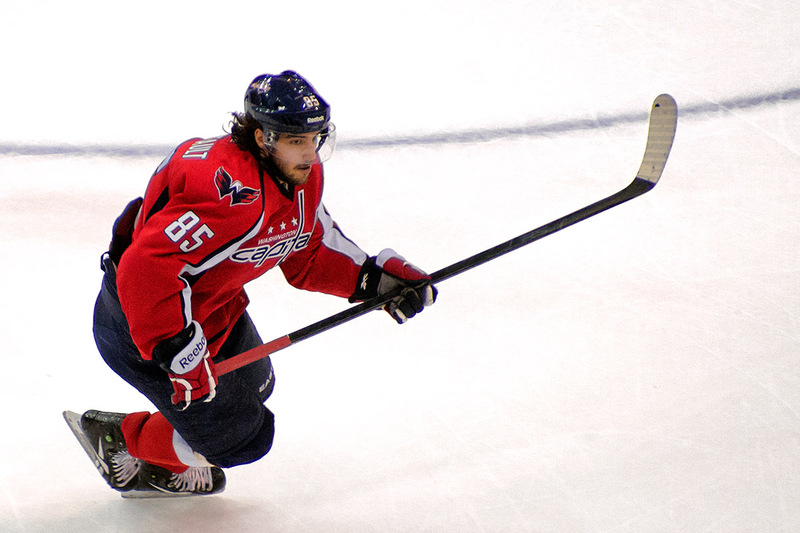 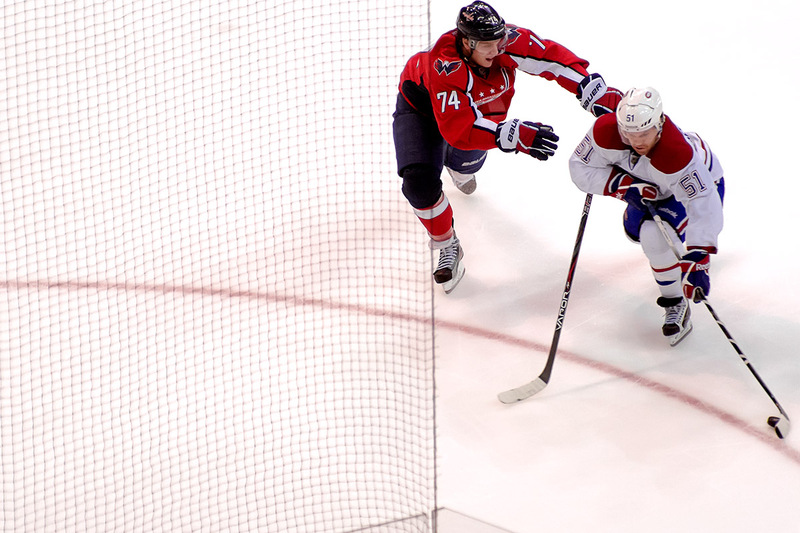 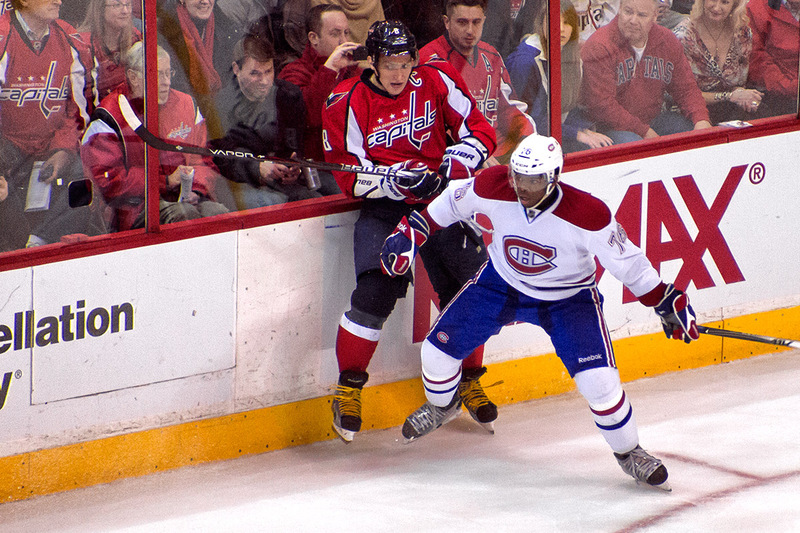 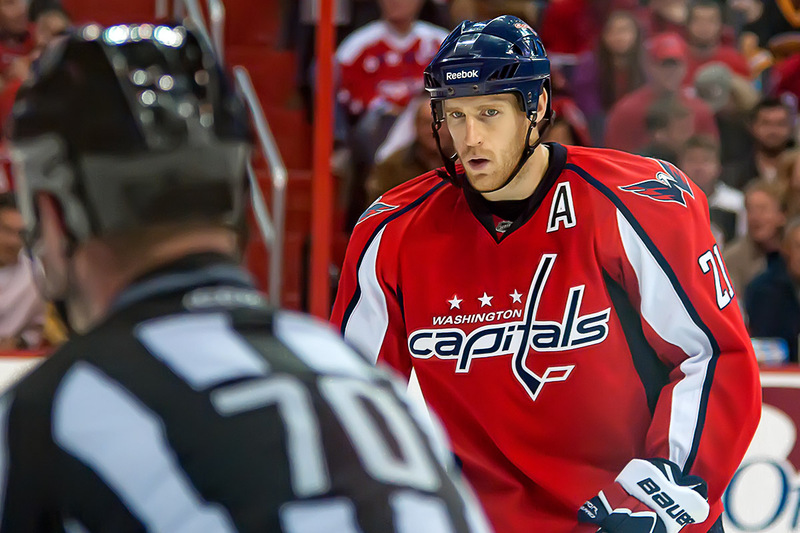 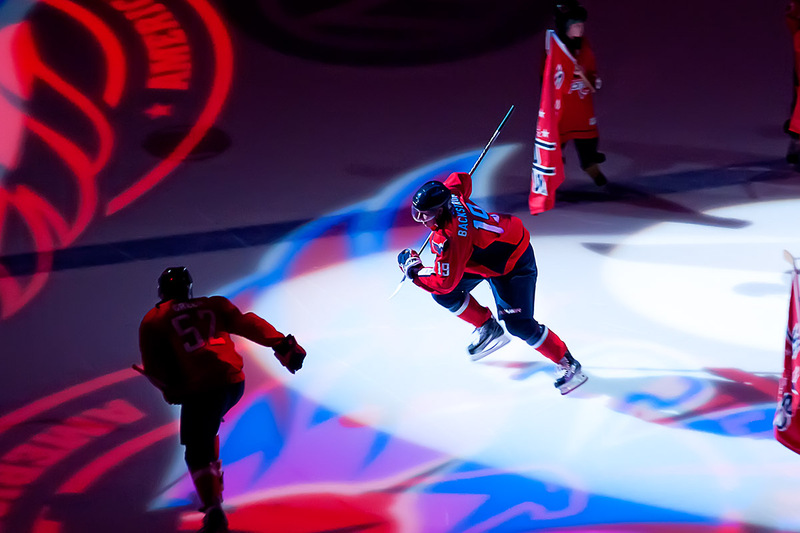 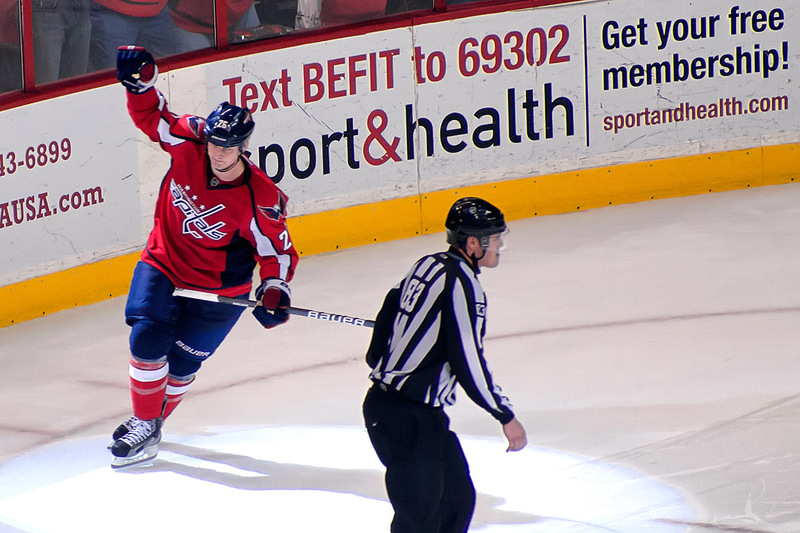 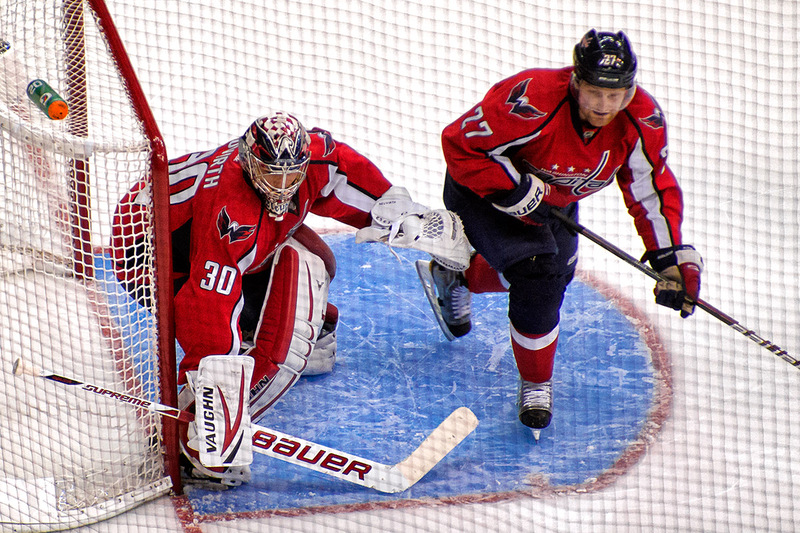 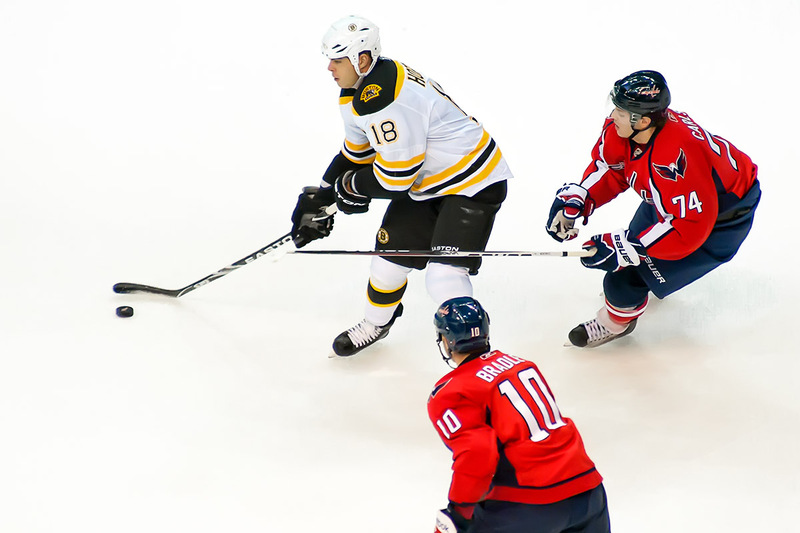 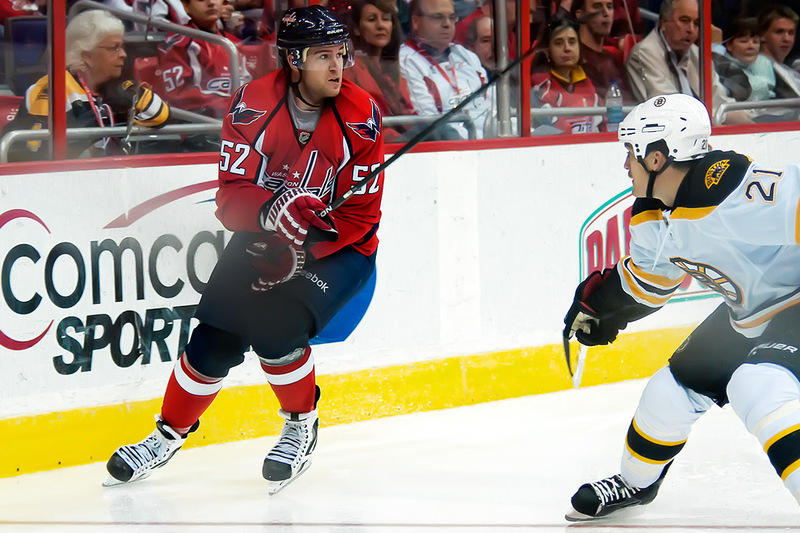 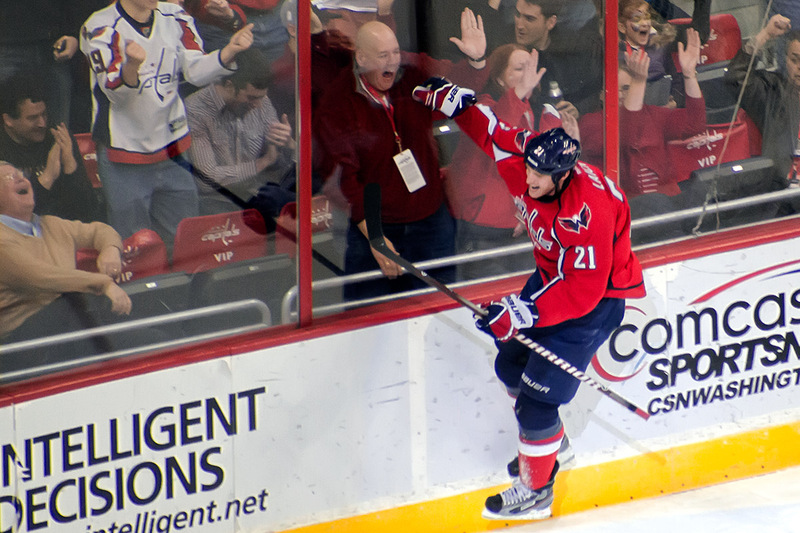 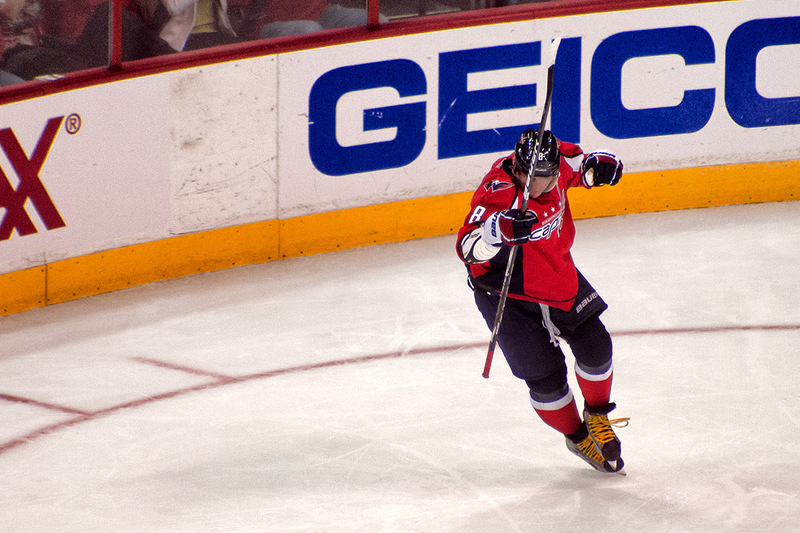 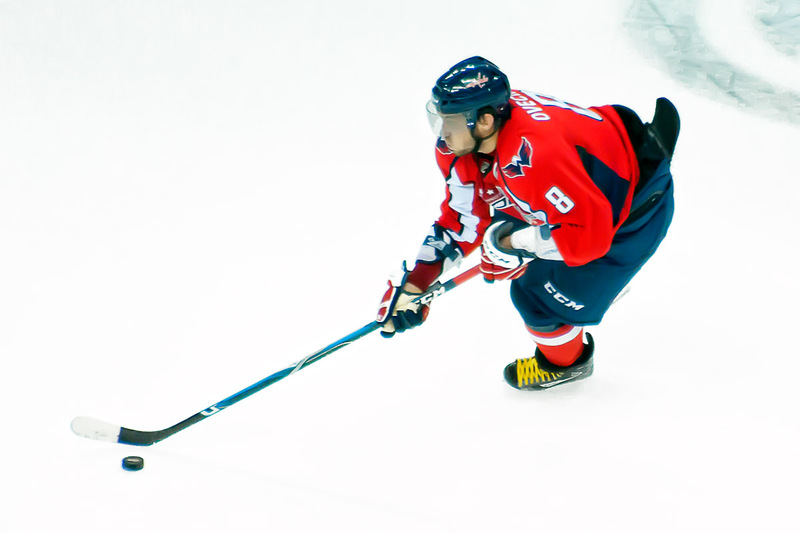 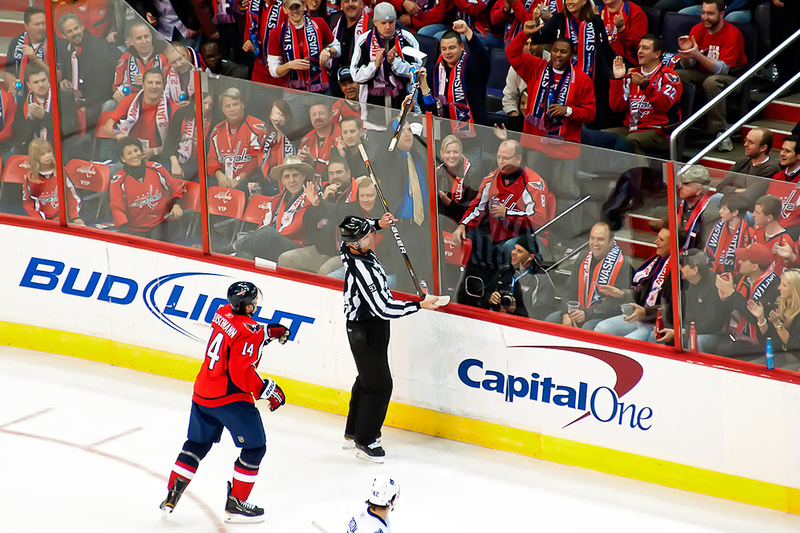 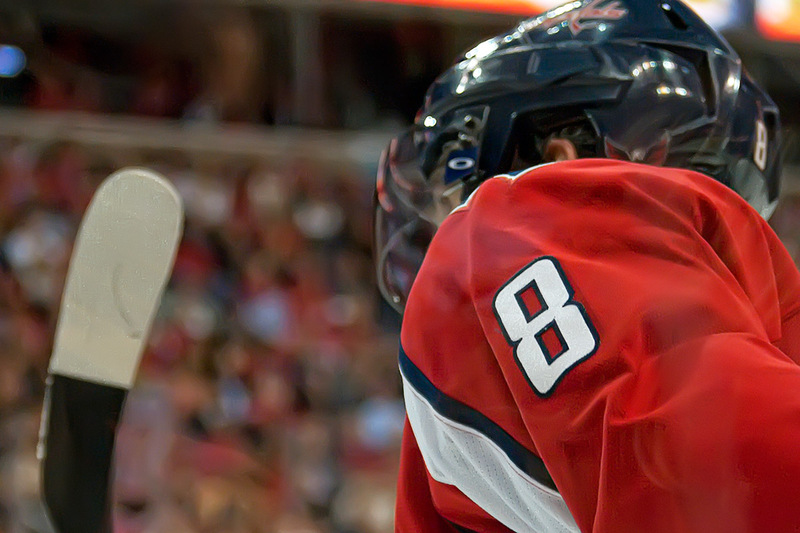 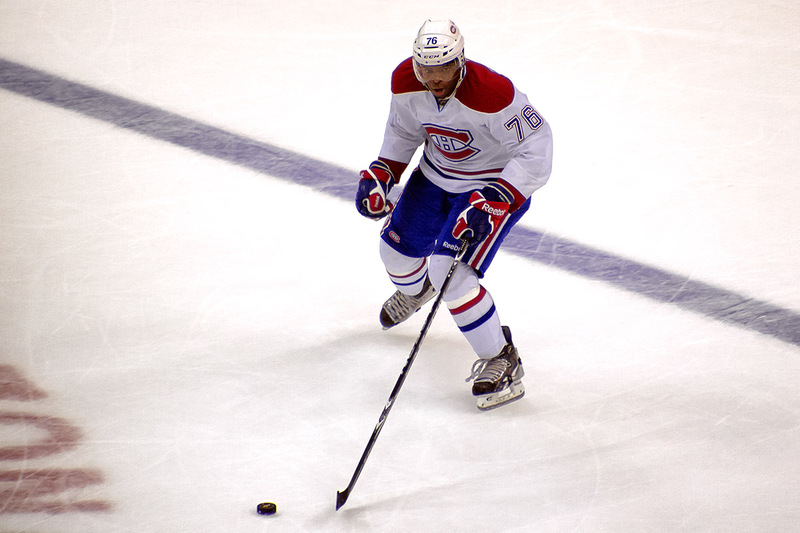 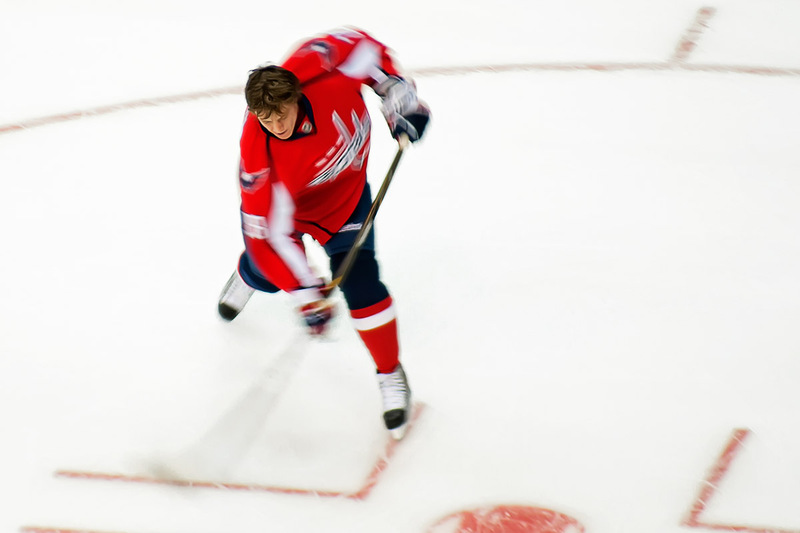 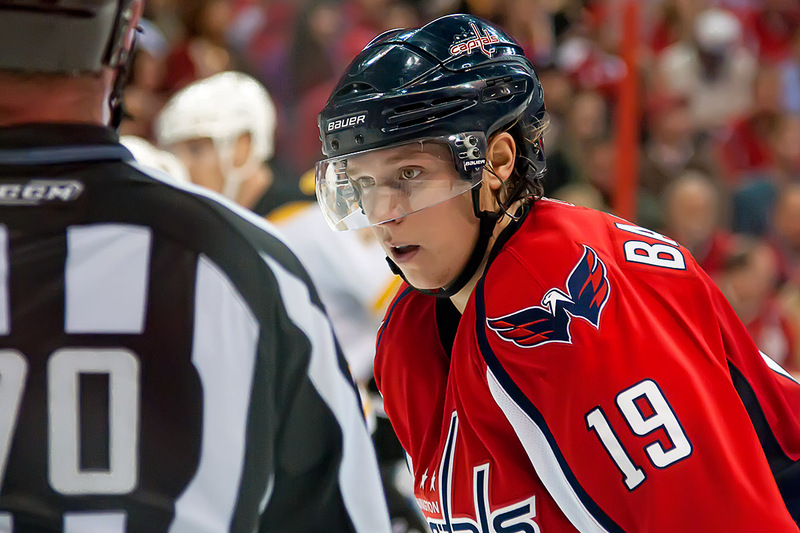 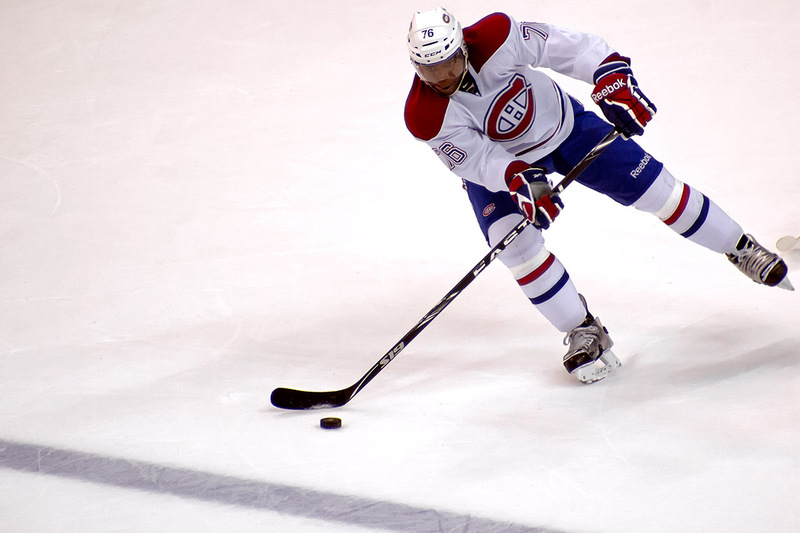 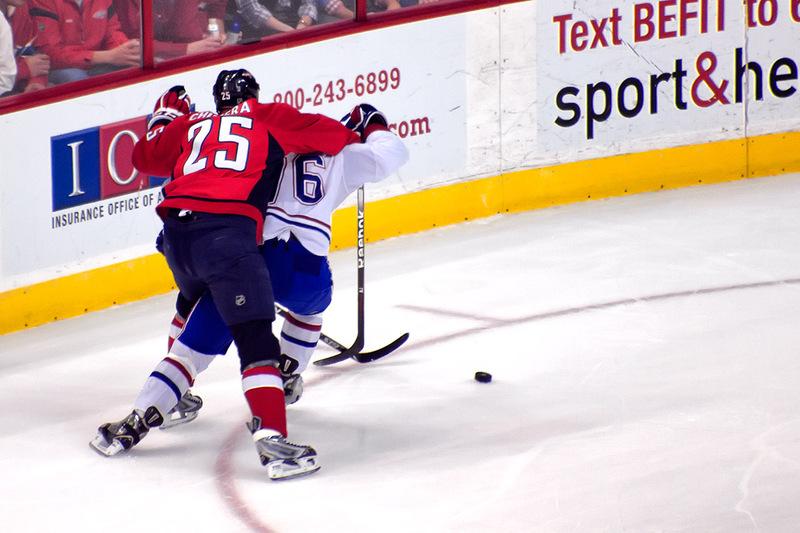 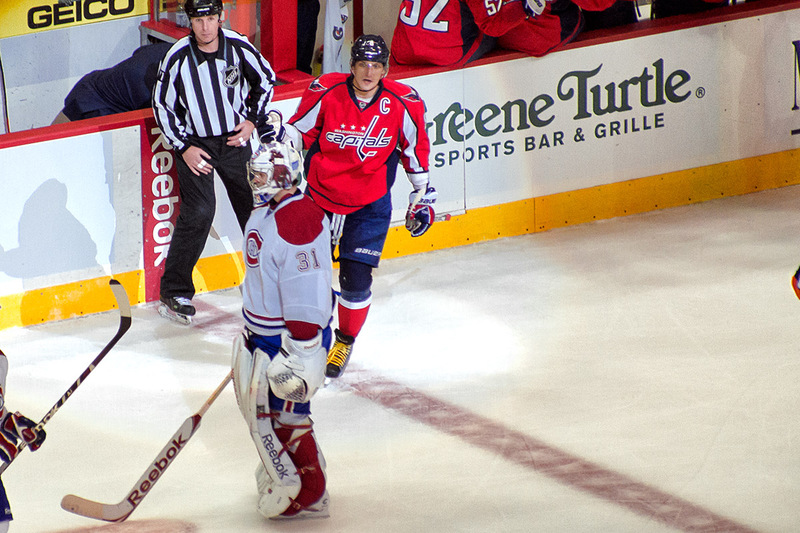 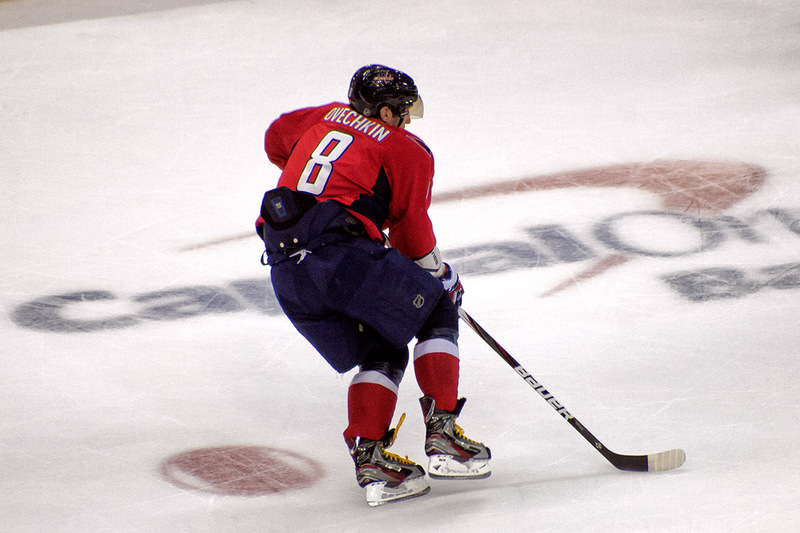 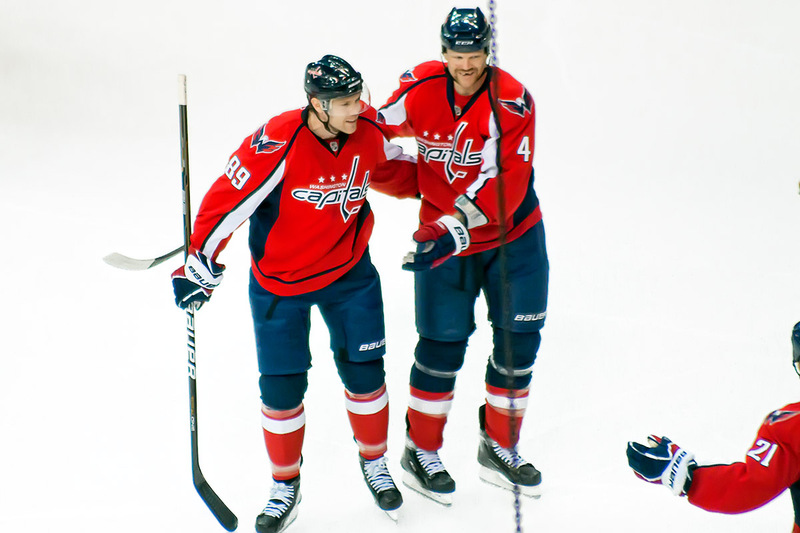 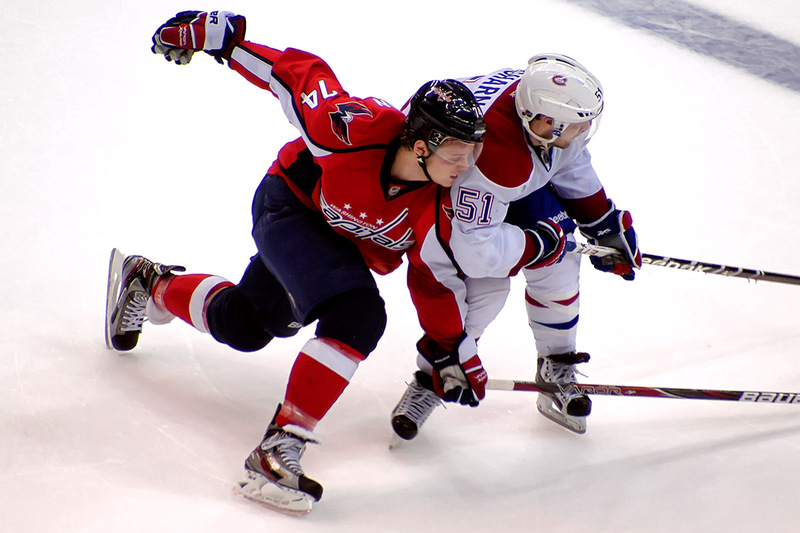 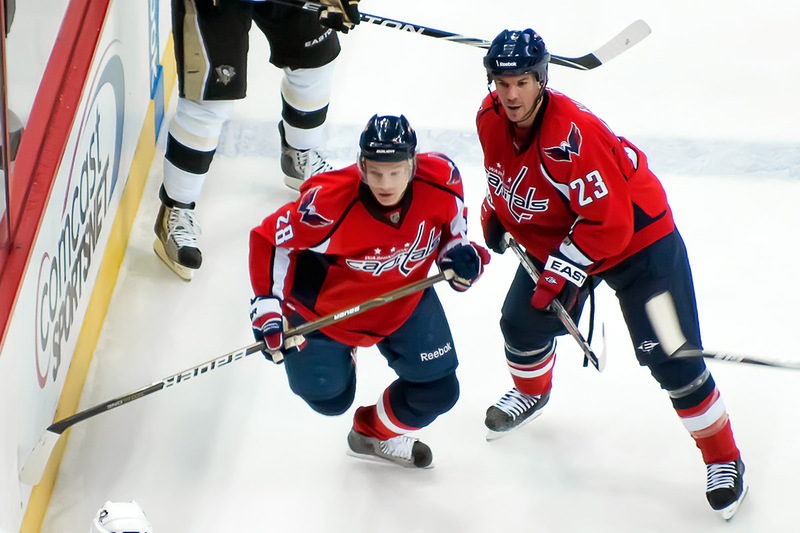 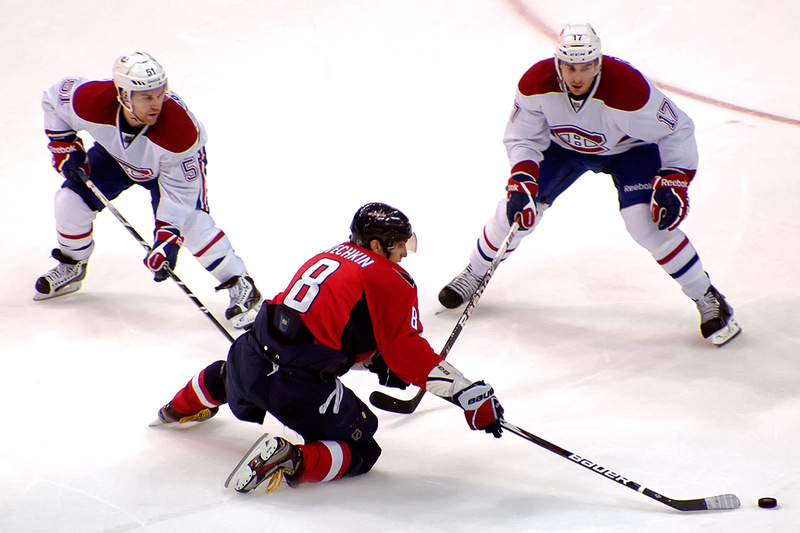 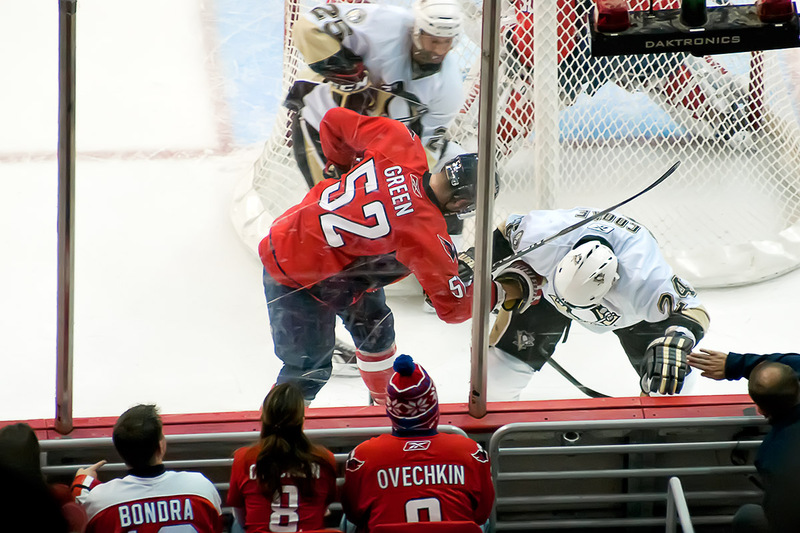 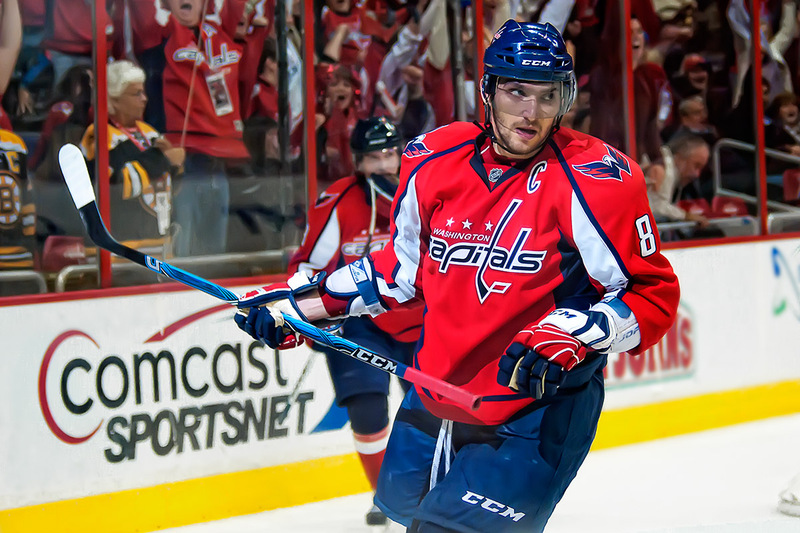 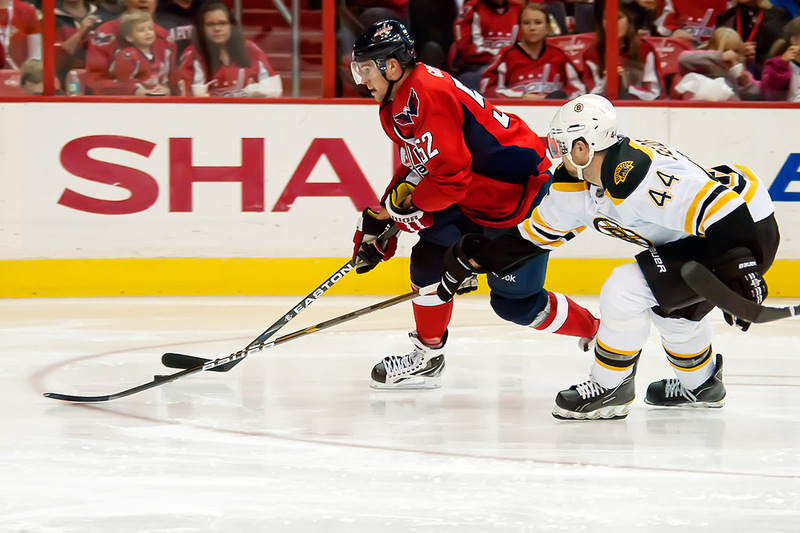 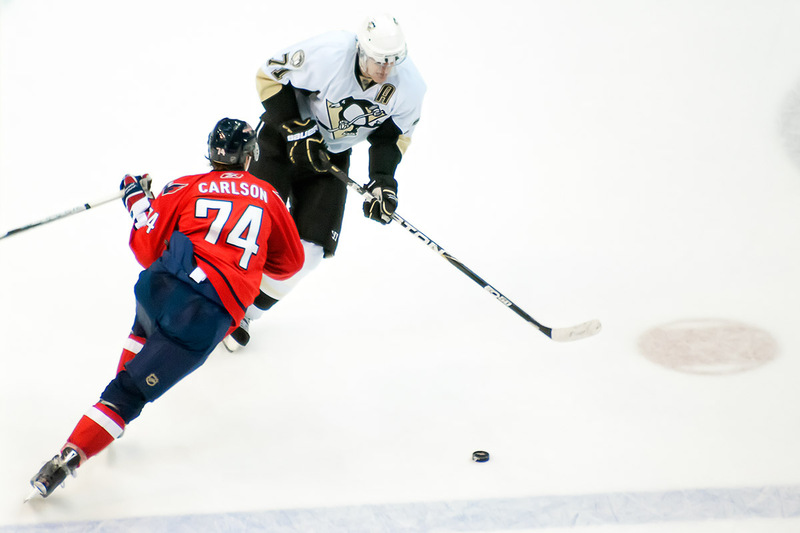 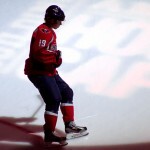 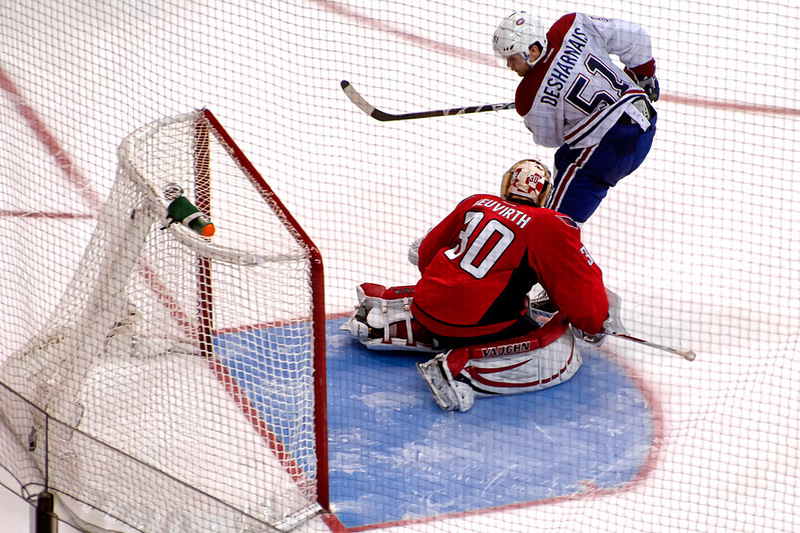 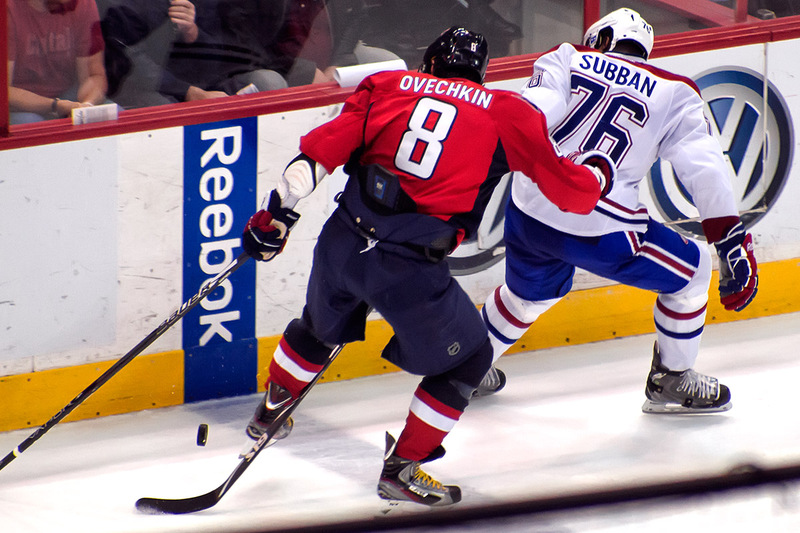 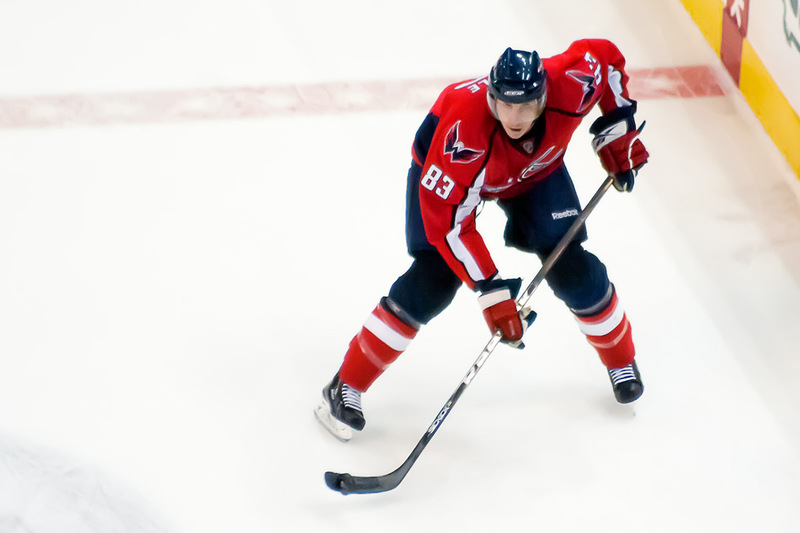 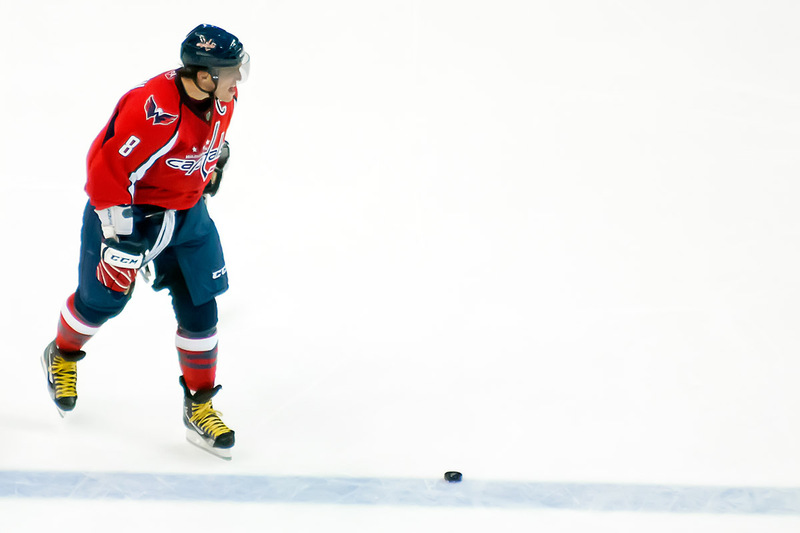 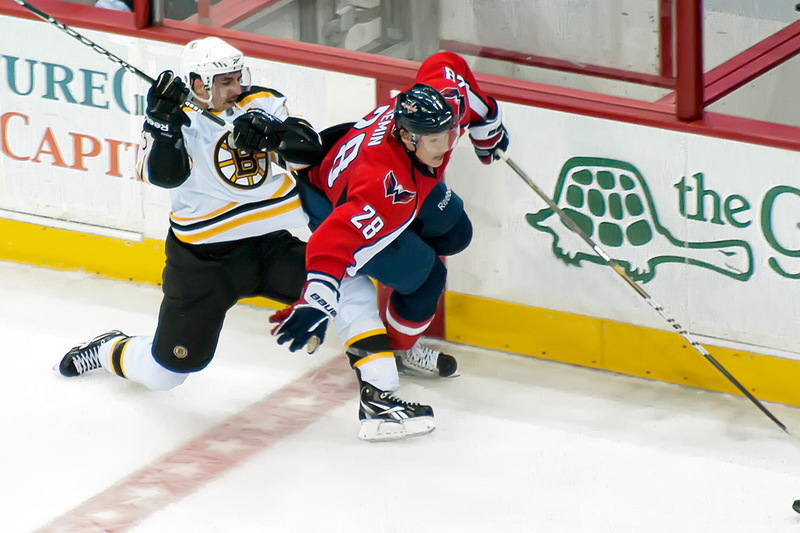 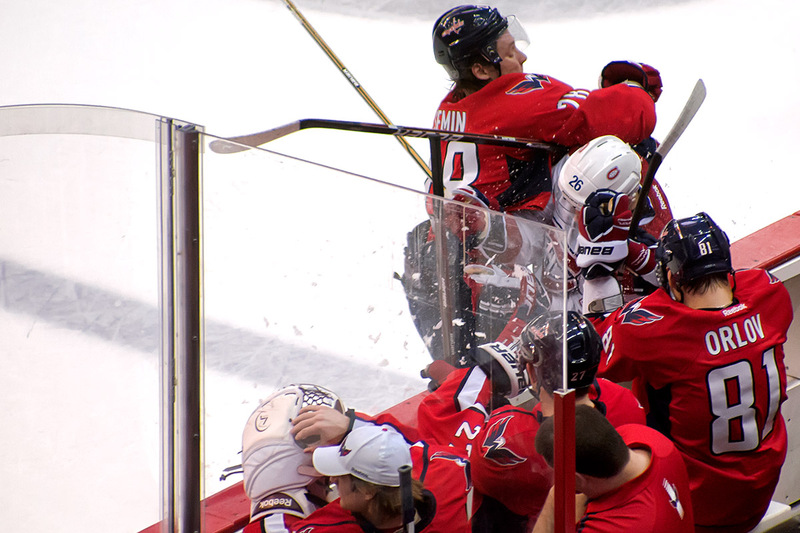 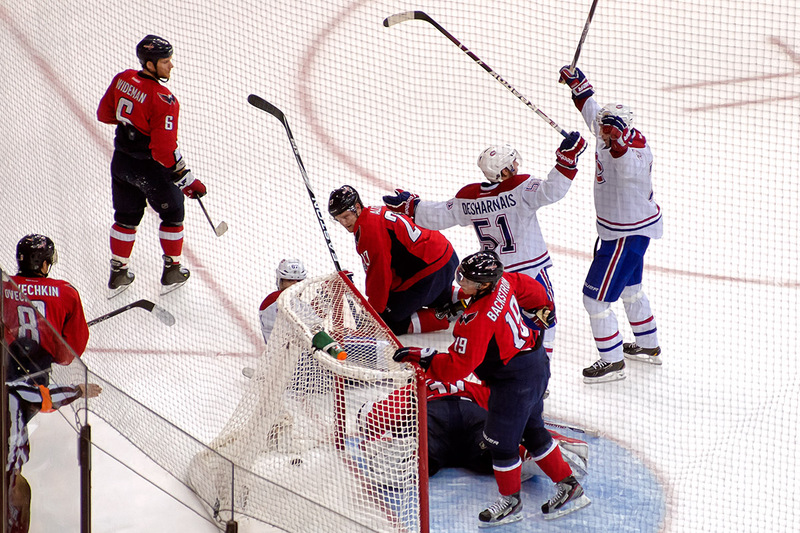 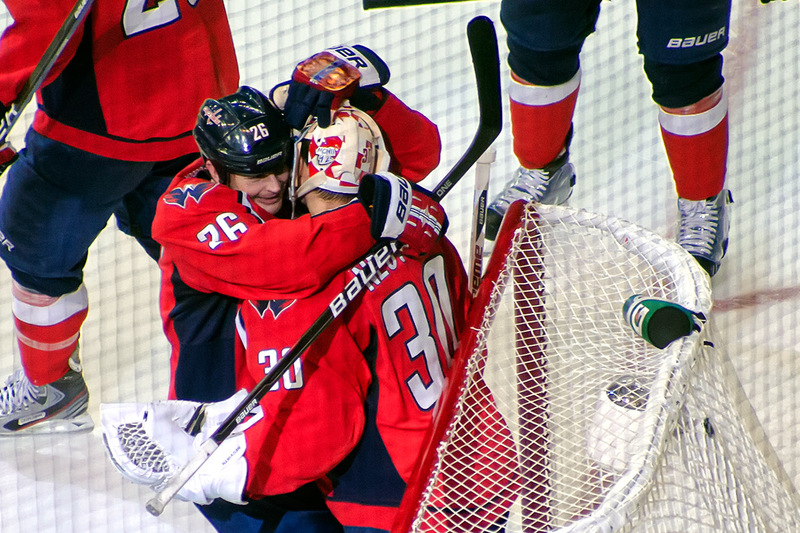 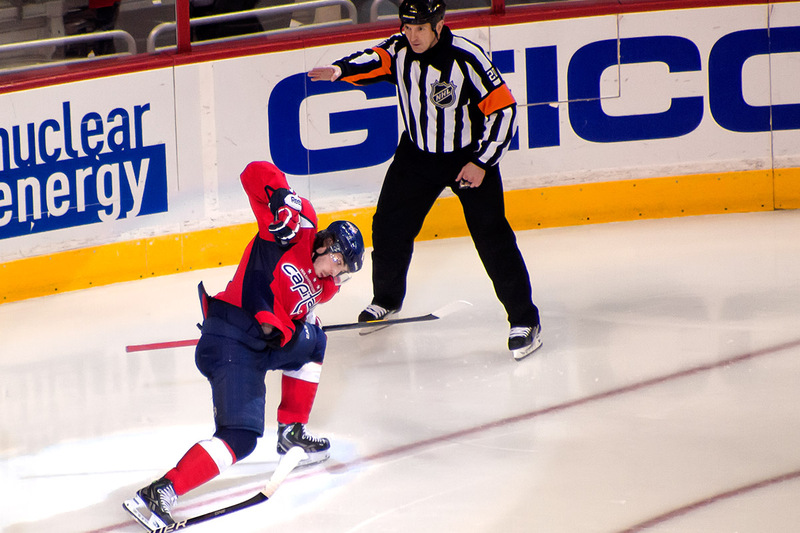 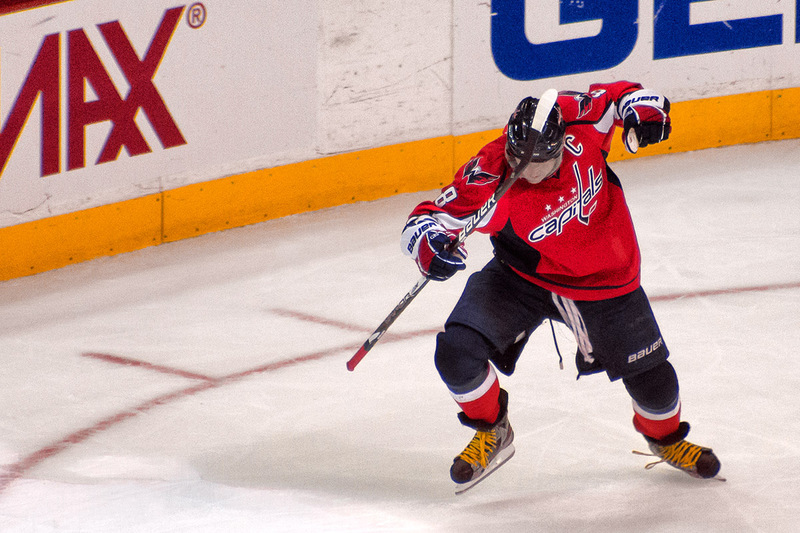 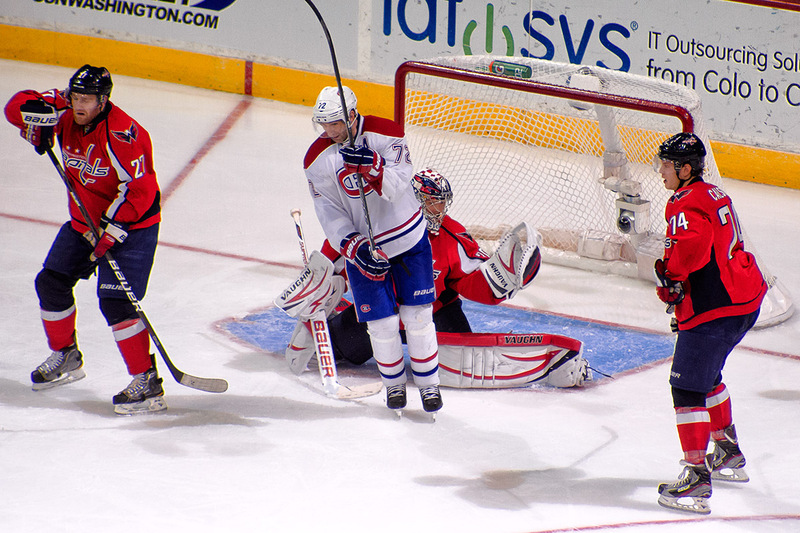 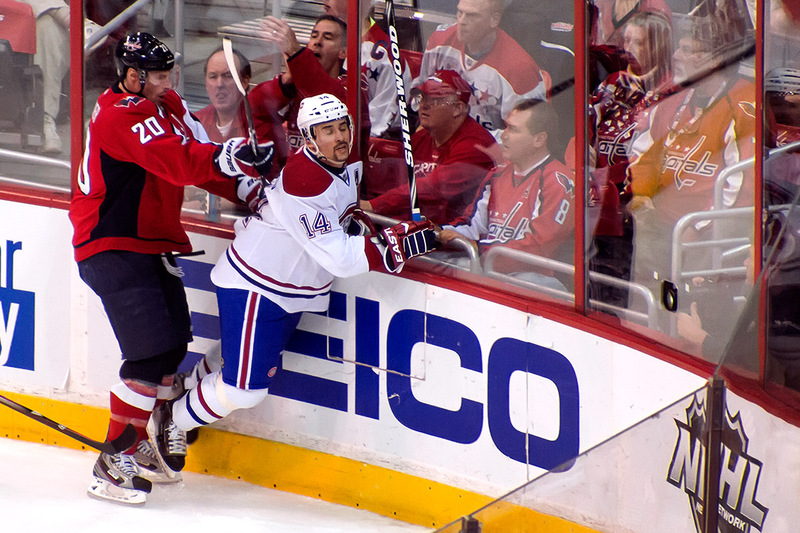 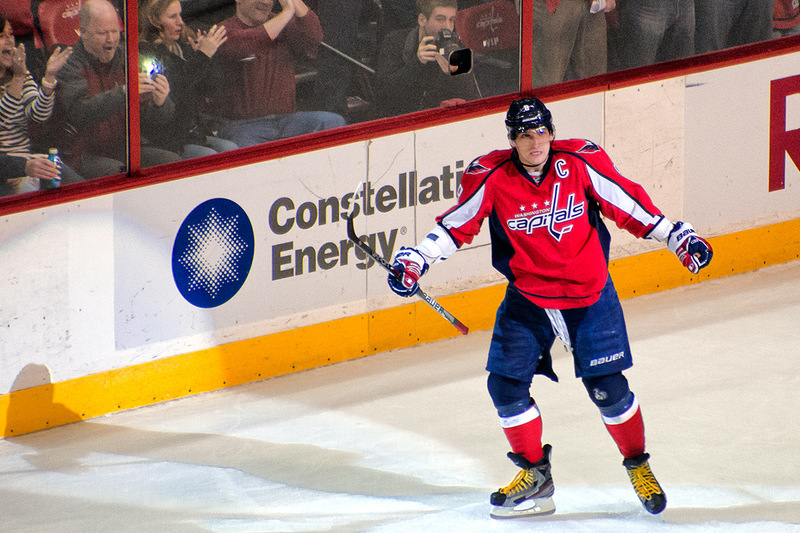 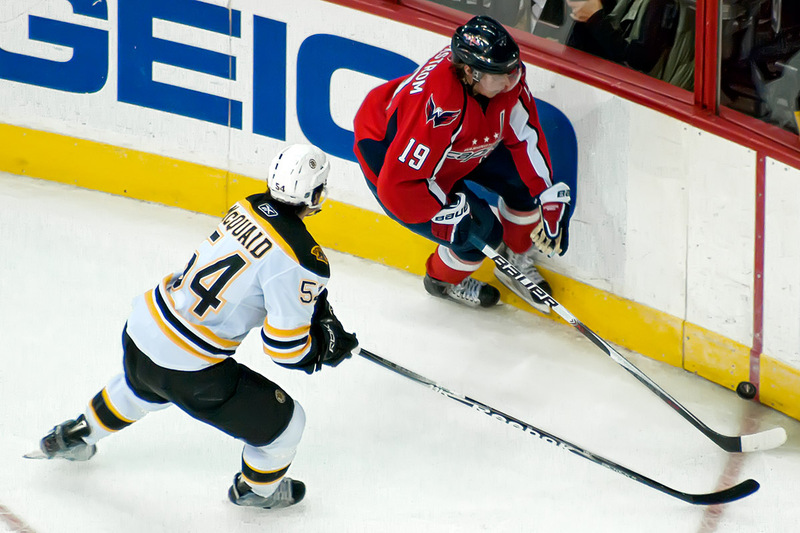 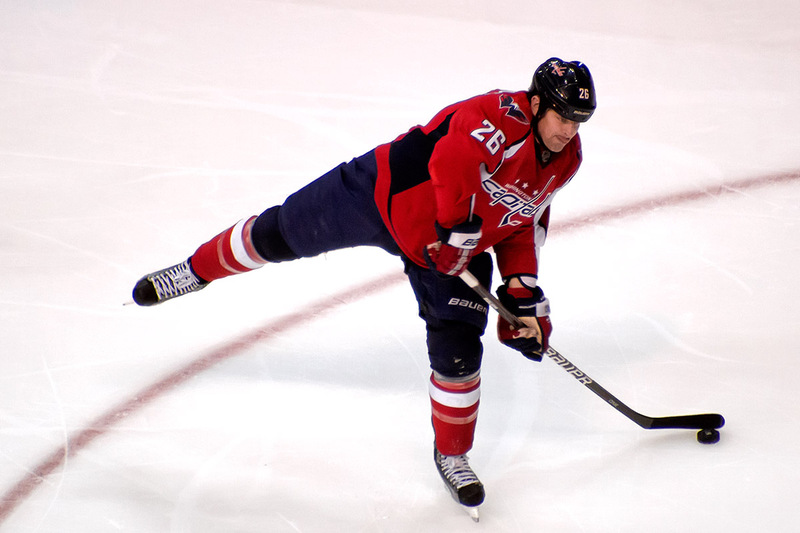 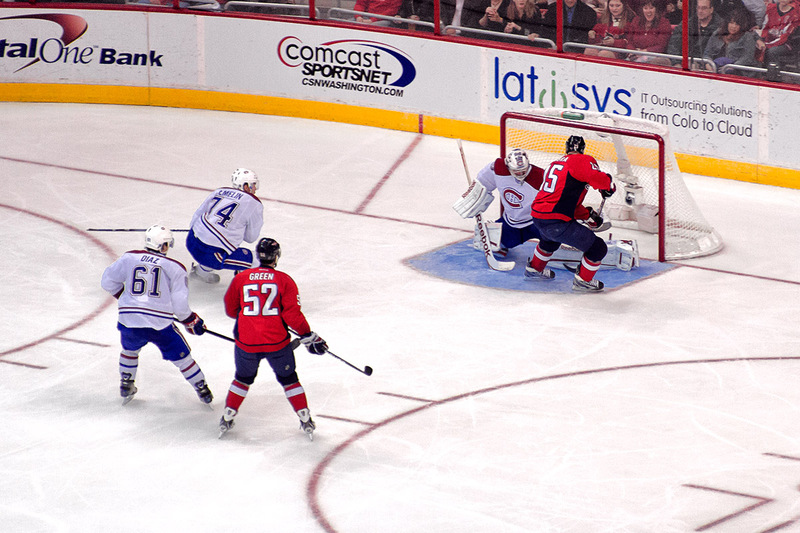 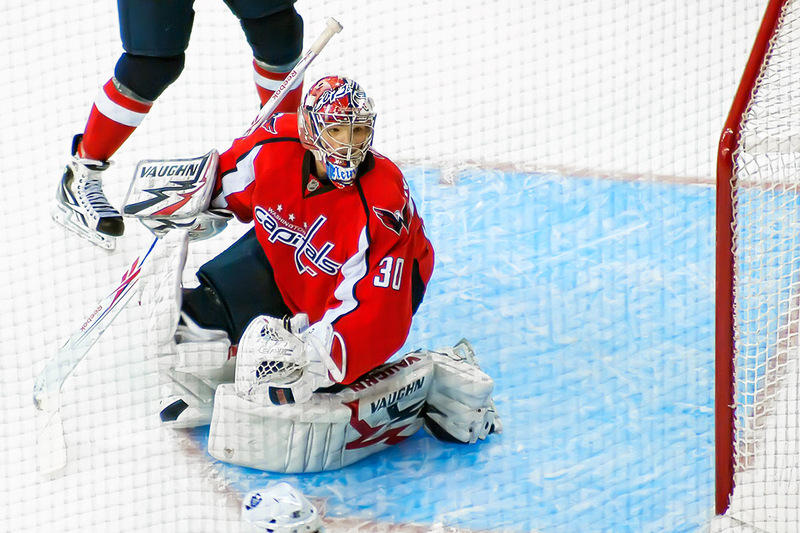 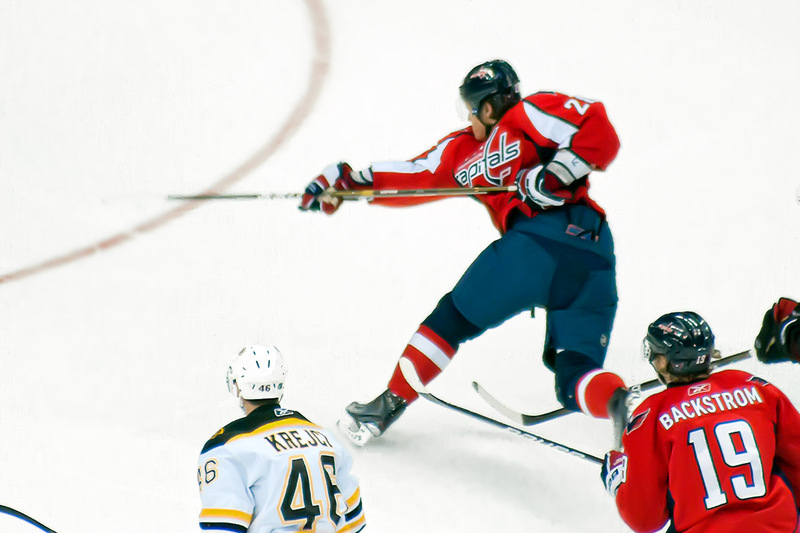 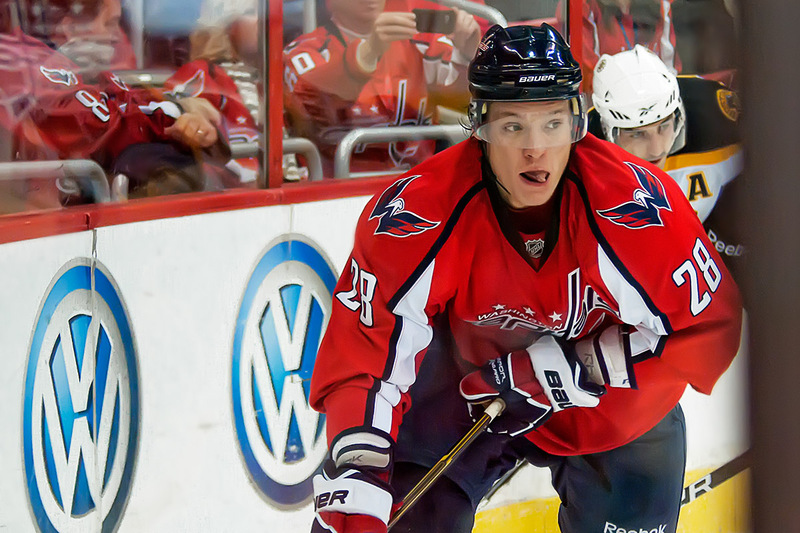 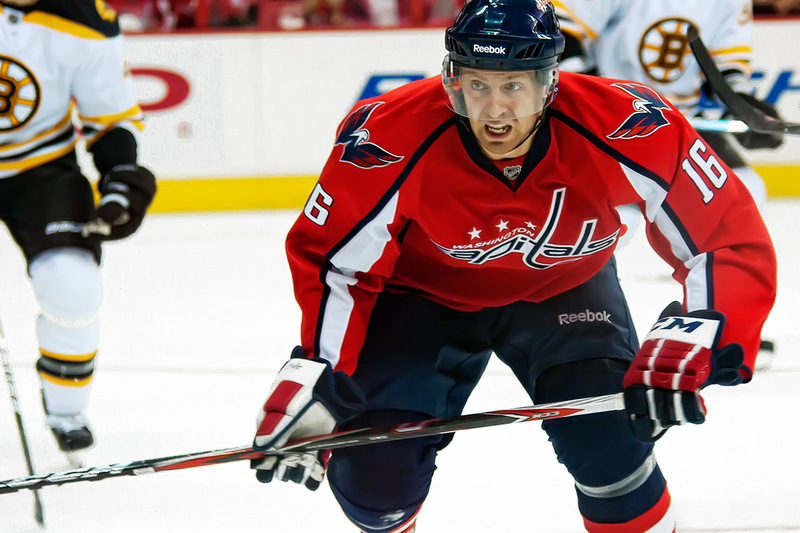 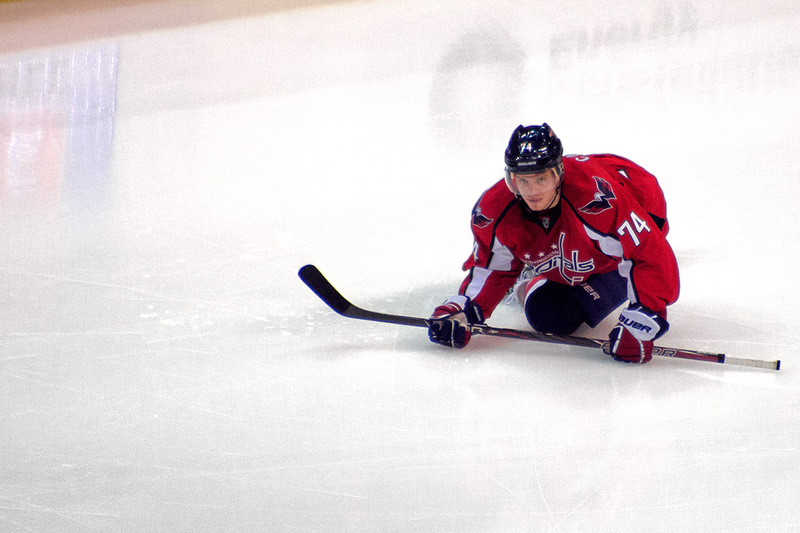 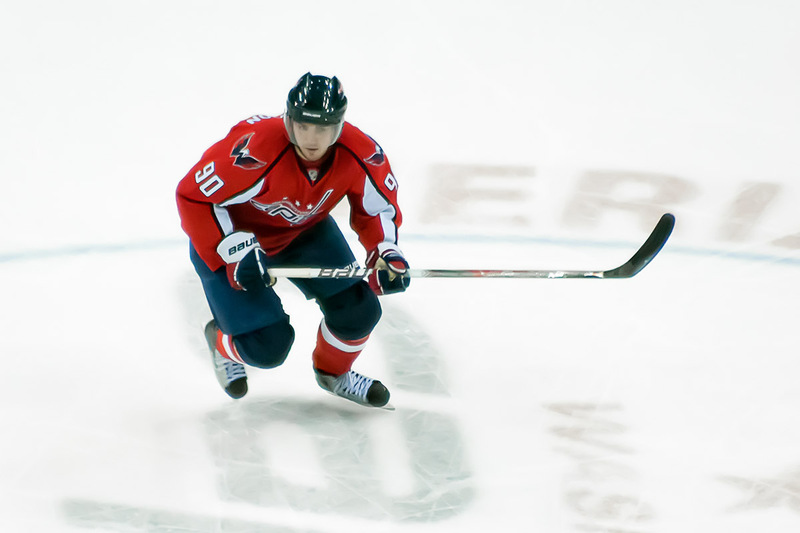 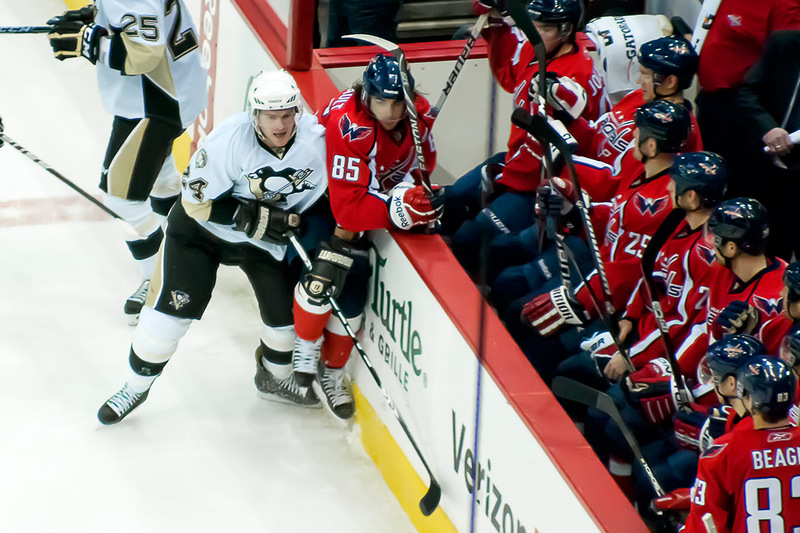 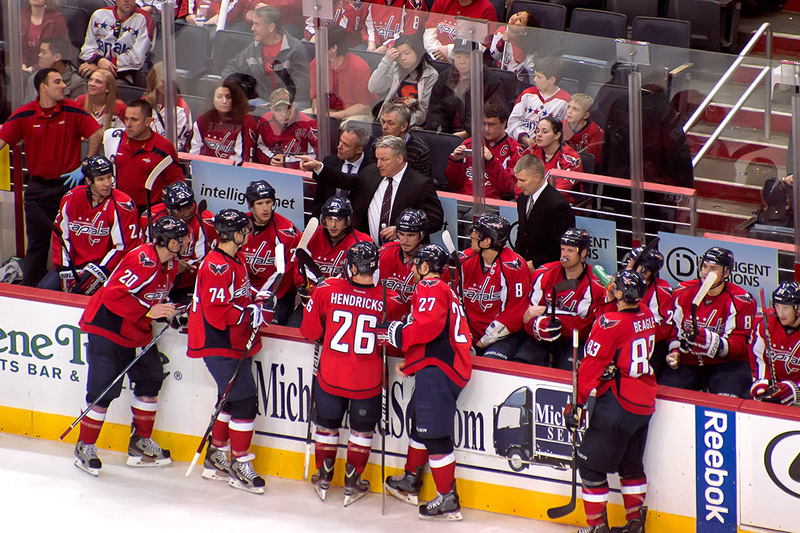 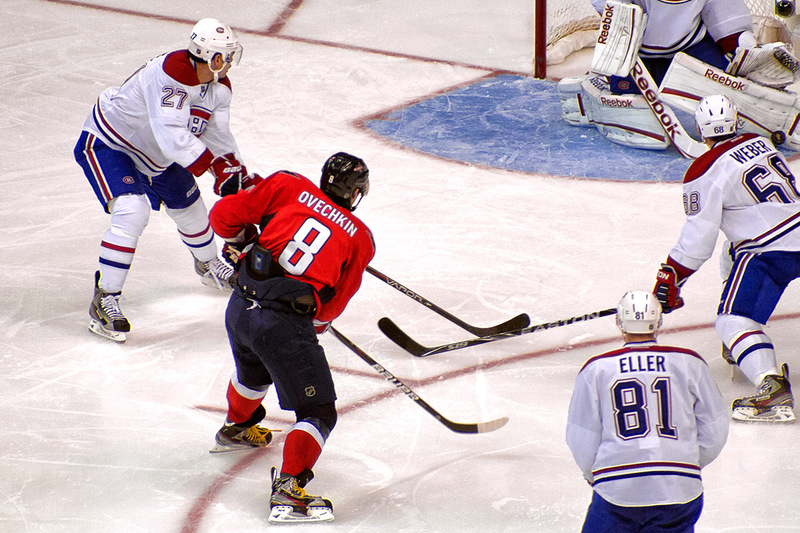 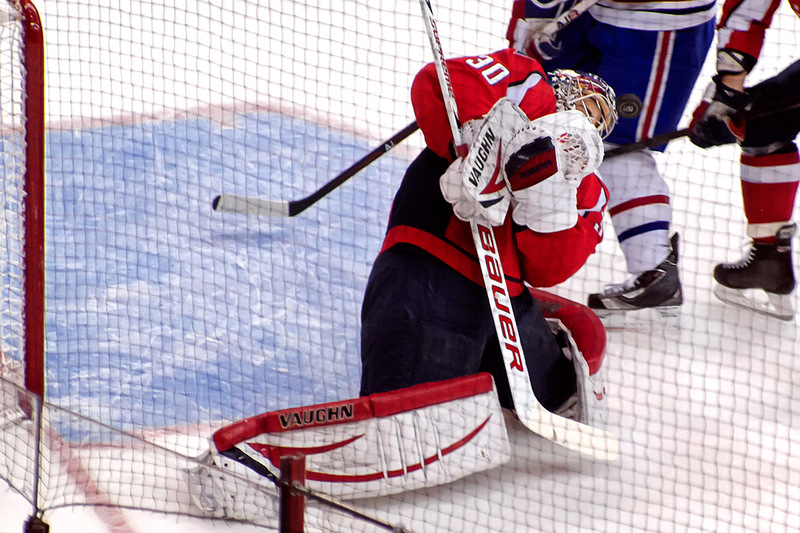 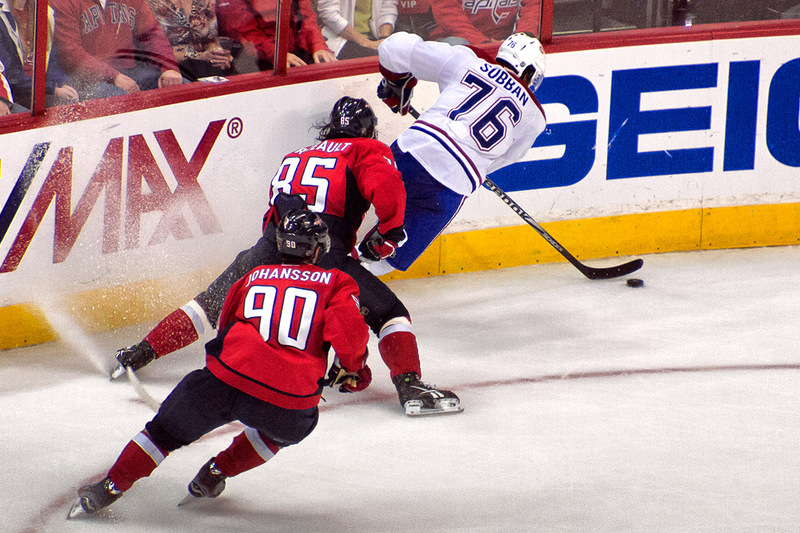 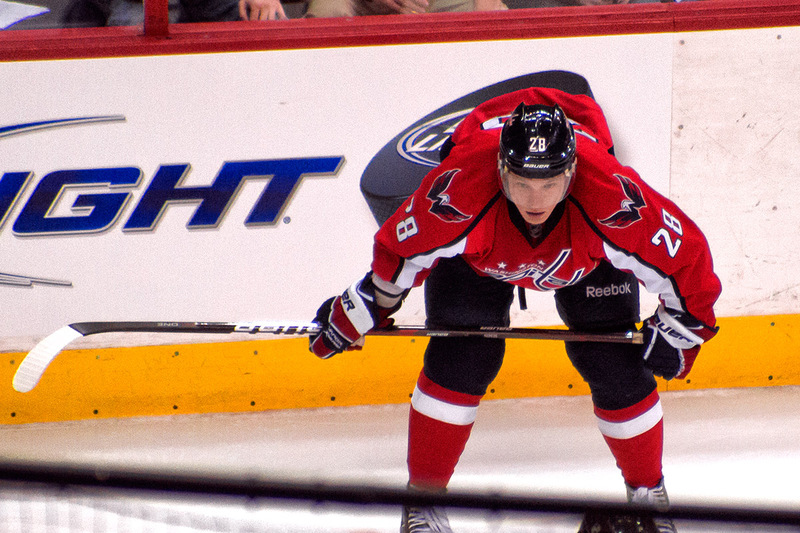 The Washington Capitals defeated the Montreal Canadiens by a score of 4-1 last night at Verizon Center. 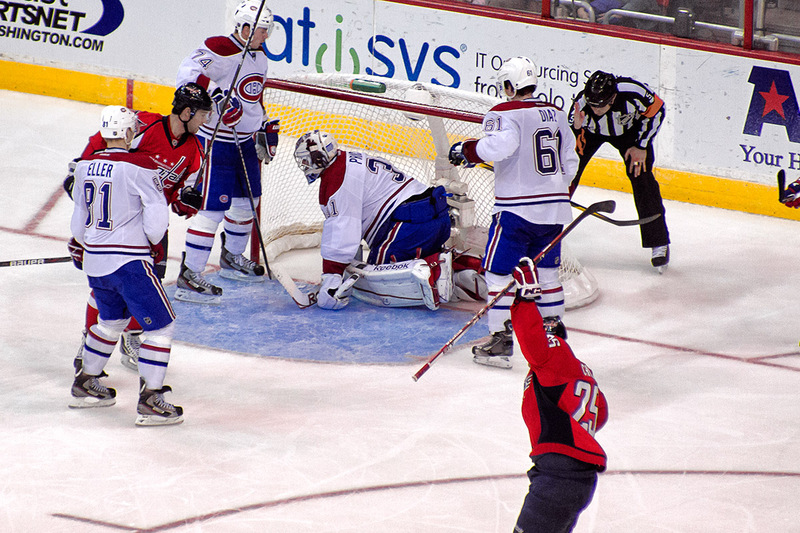 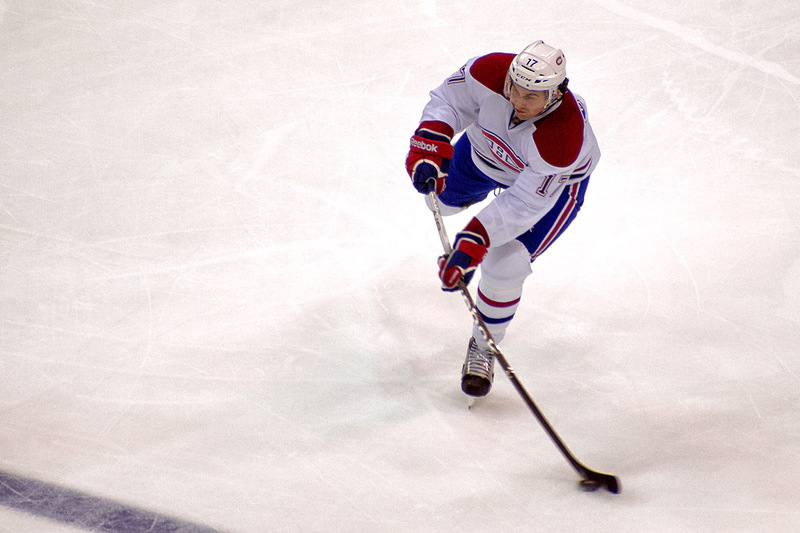 Of course, the sole Canadiens goal was scored by Rene Bourque. 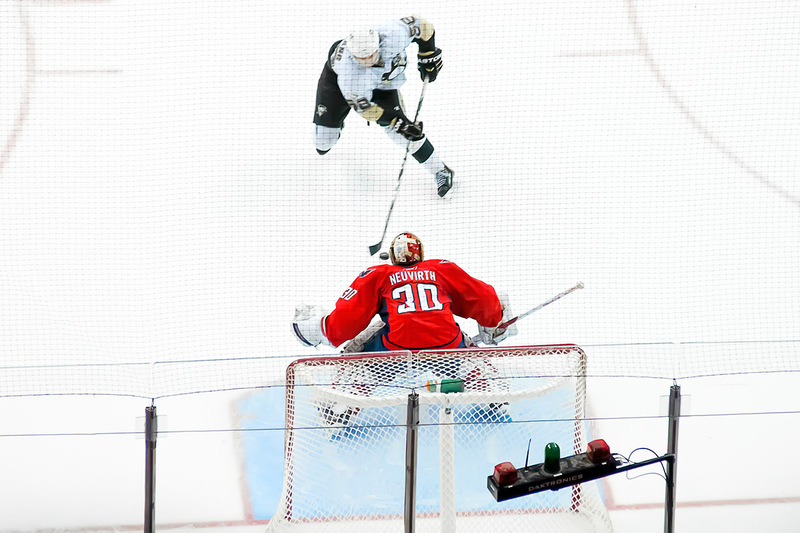 Shorthanded, too. 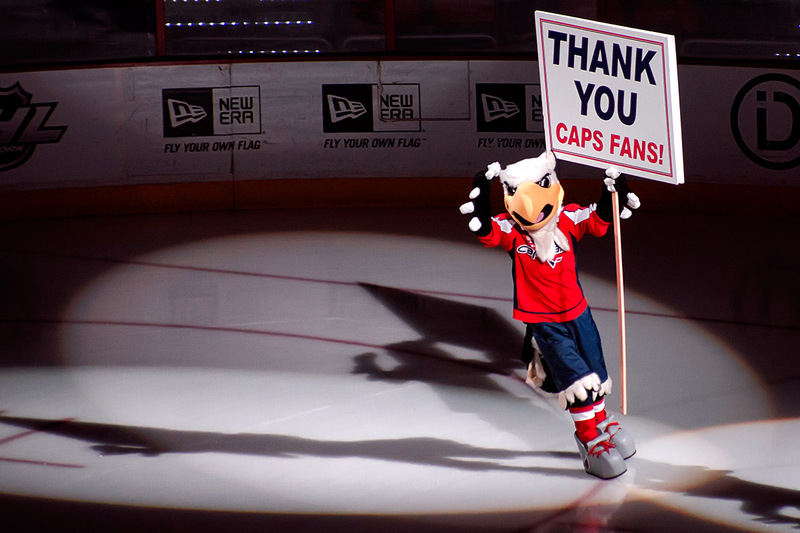 But, you knew that. 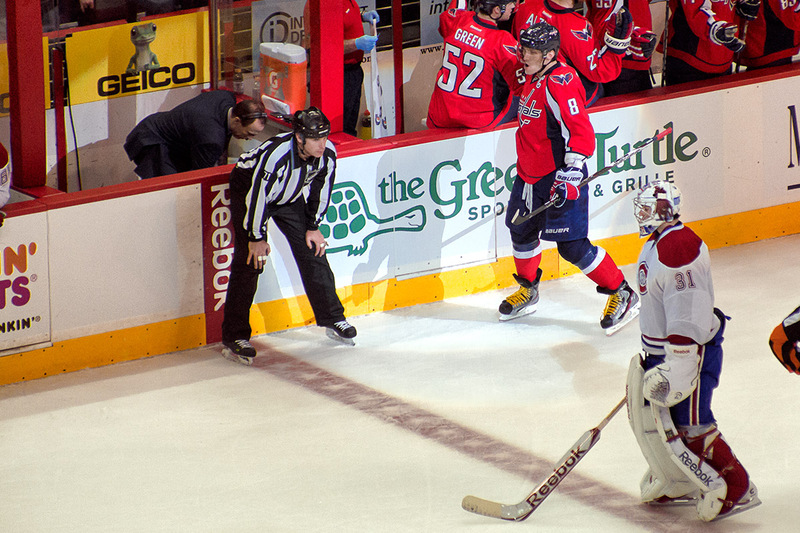 The Capitals came out of the gate hard in the first, Mathieu Perreault scored early and they just kept going. 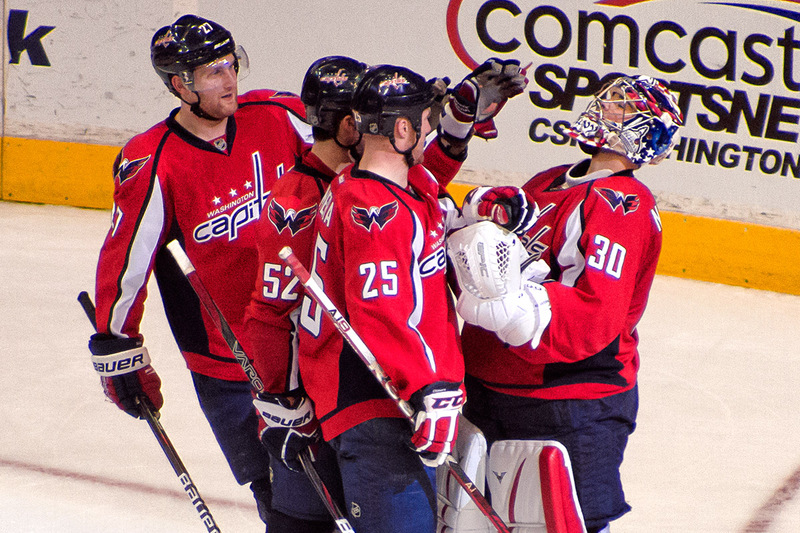 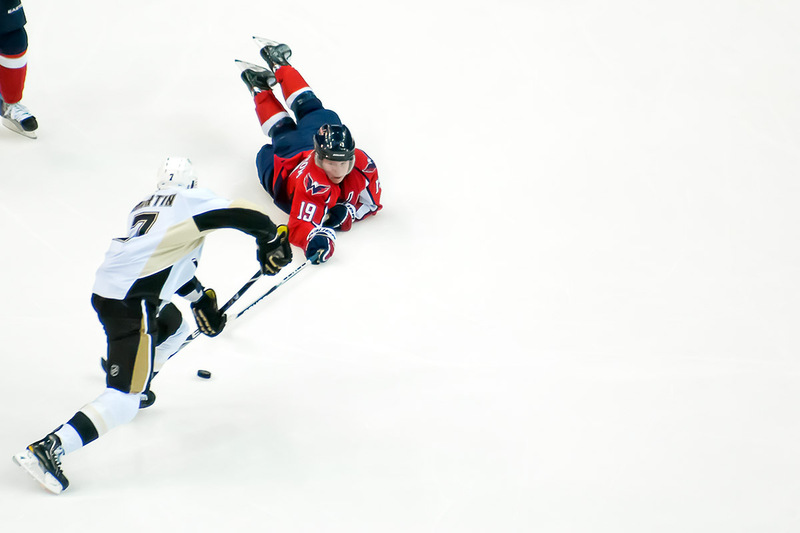 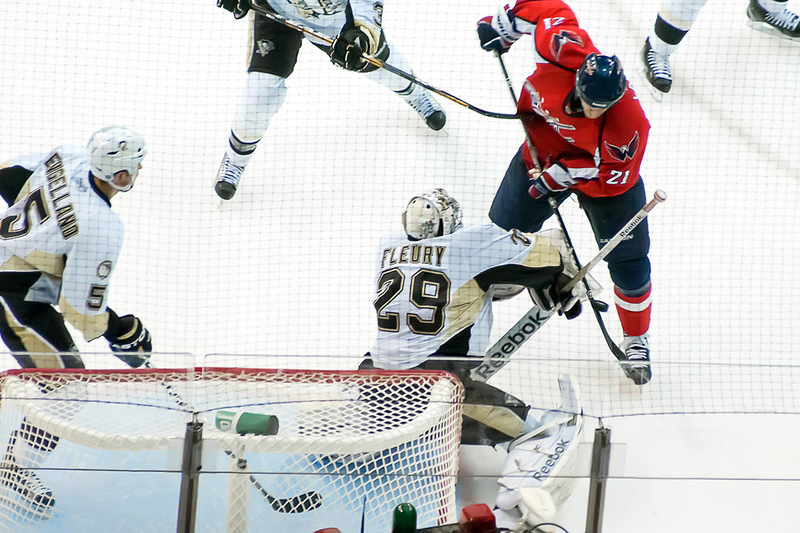 It was almost like the Capitals we used to know, but different, but the same result. 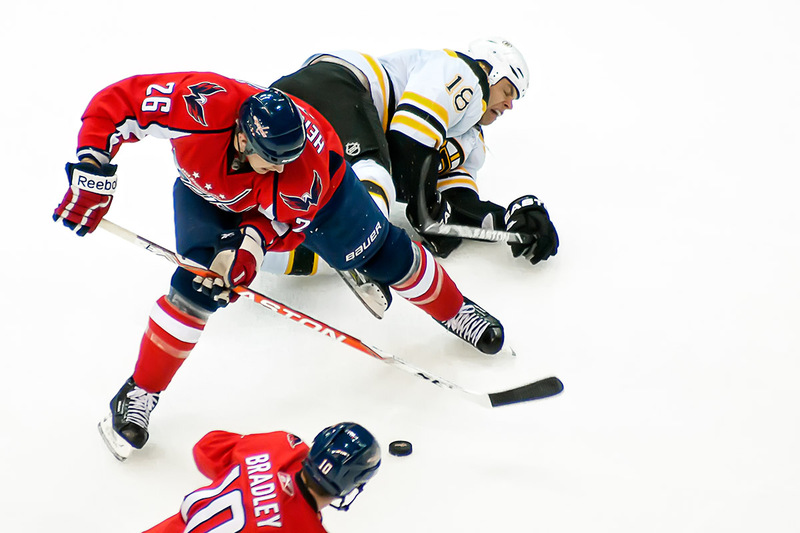 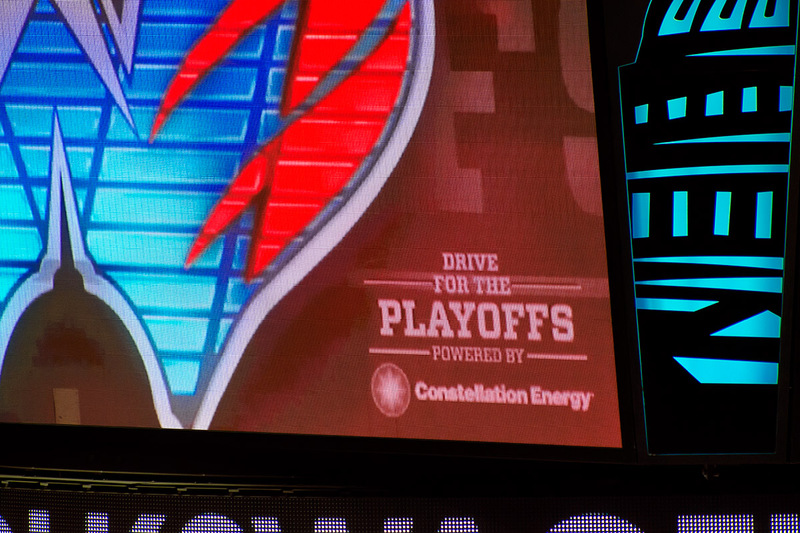 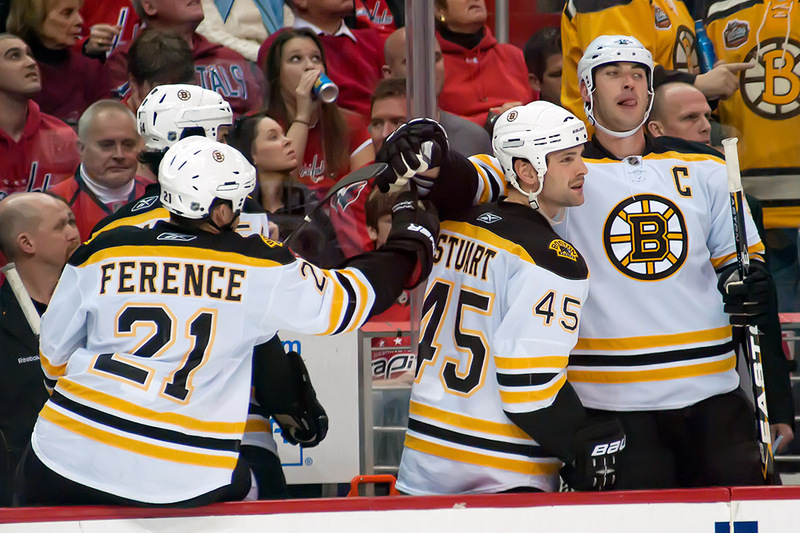 All it took was a game against the worst Eastern Conference team after three ugly losses. 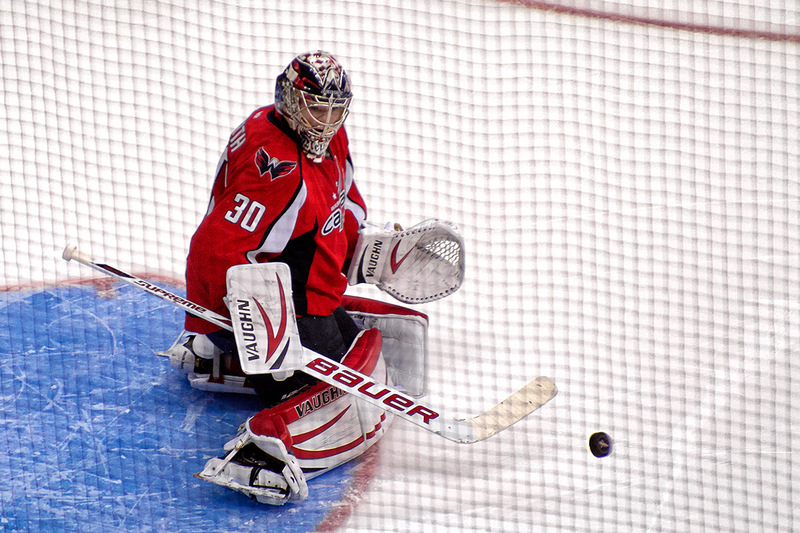 Or maybe it was Michal Neuvirth’s new pads. 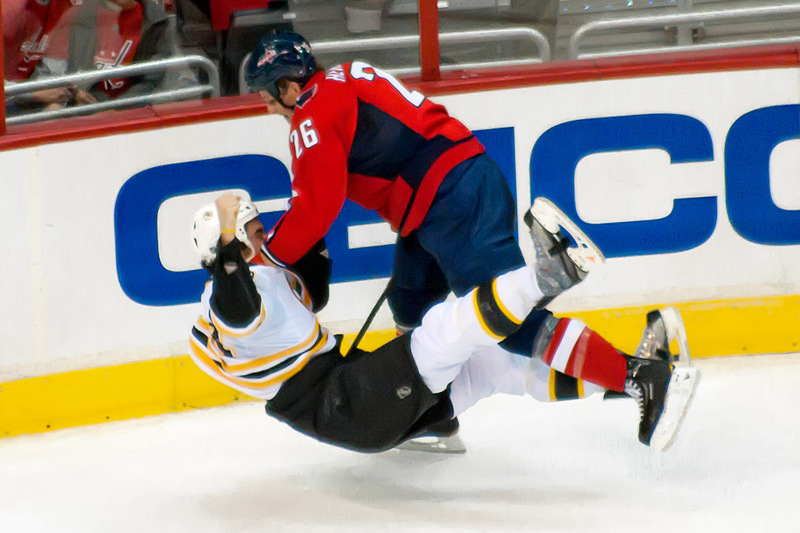 Or maybe the in game pauses for the pads to be adjusted. 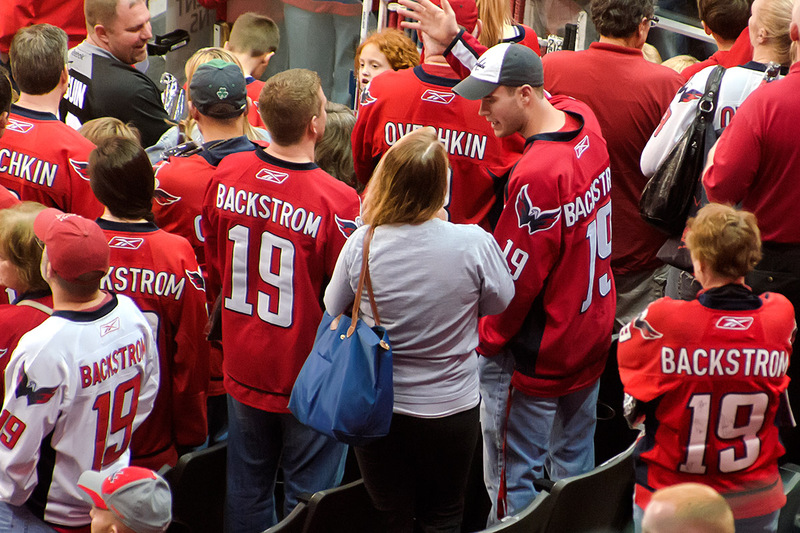 Whatever the reason, let’s hope it’s a sign that things have finally turned a corner. 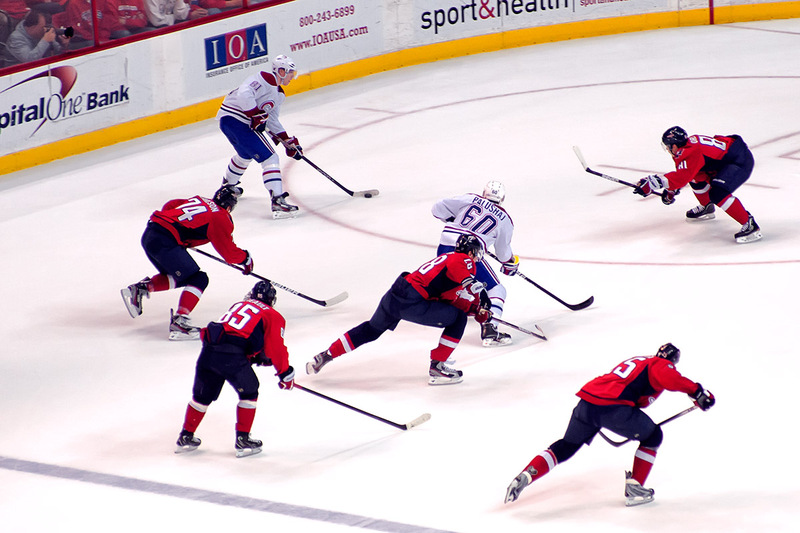 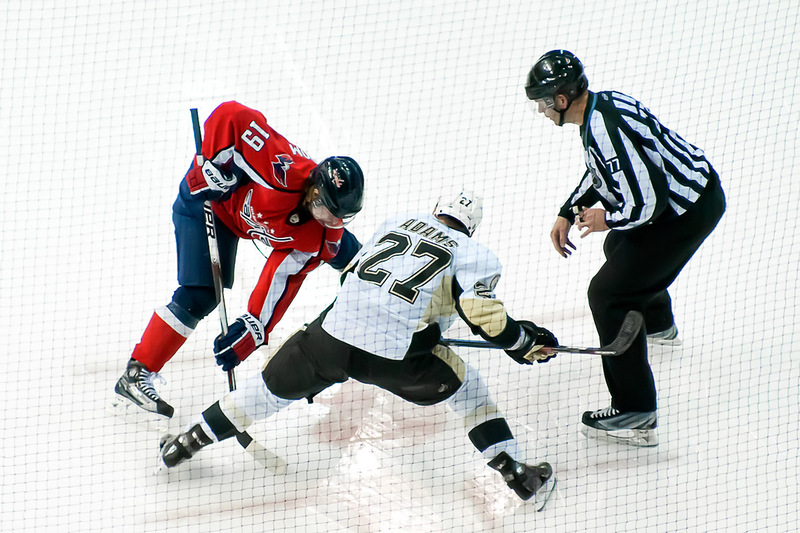 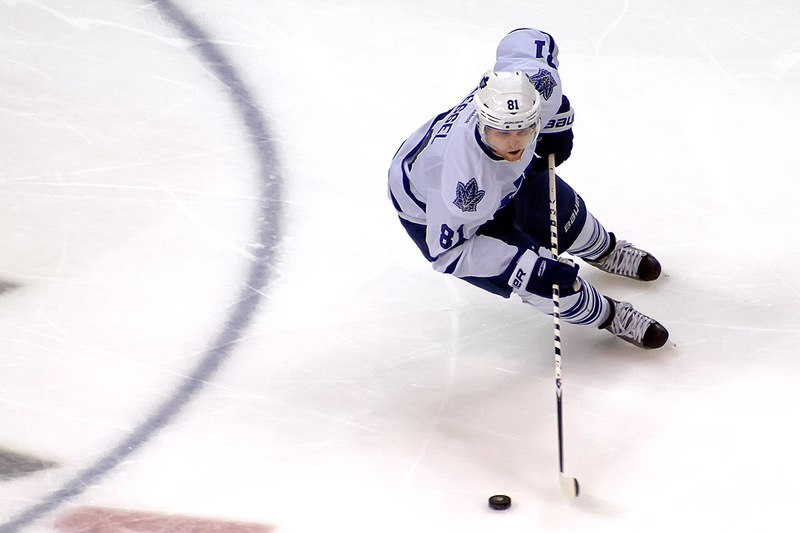 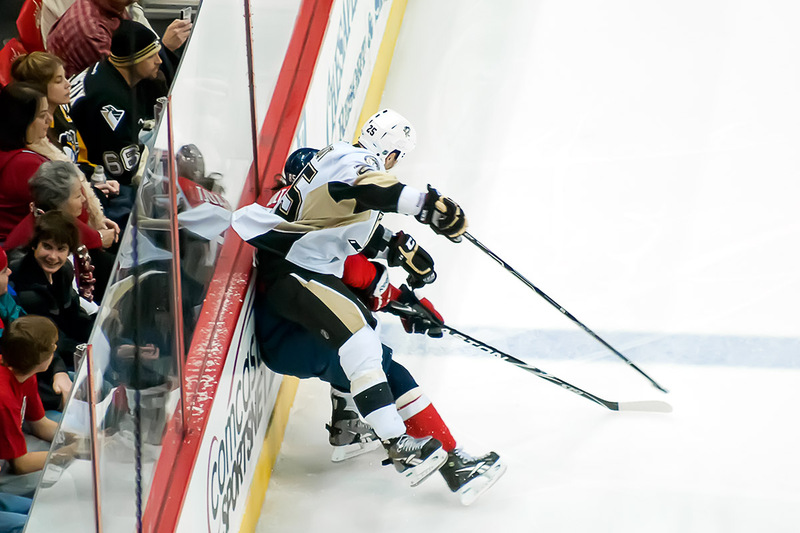 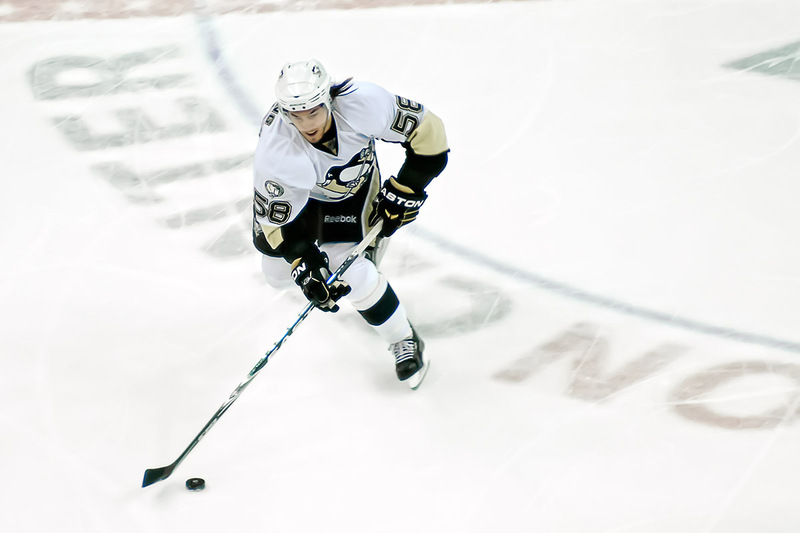 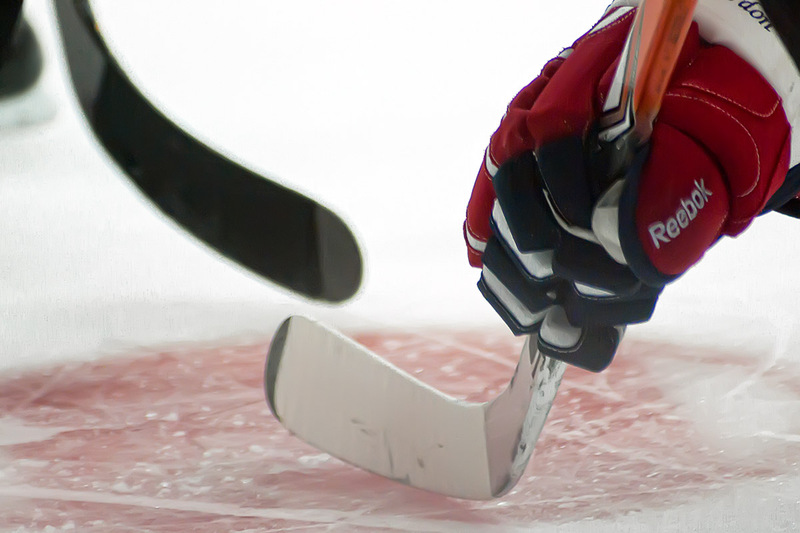 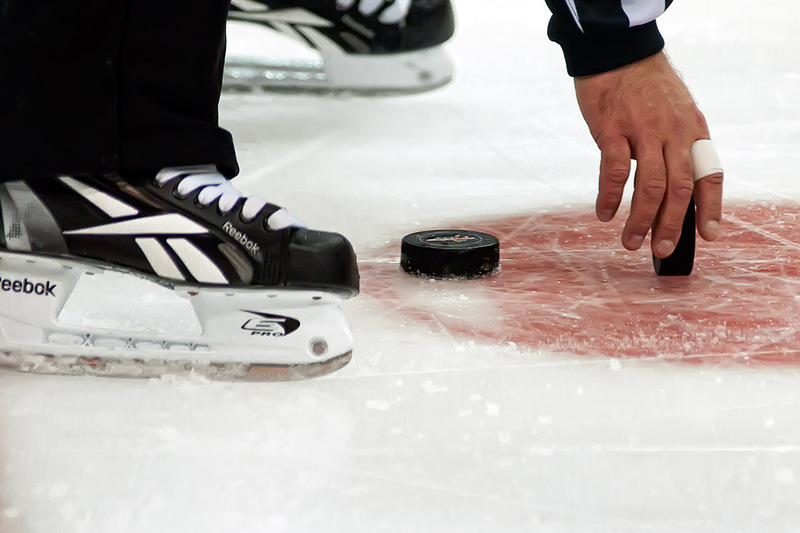 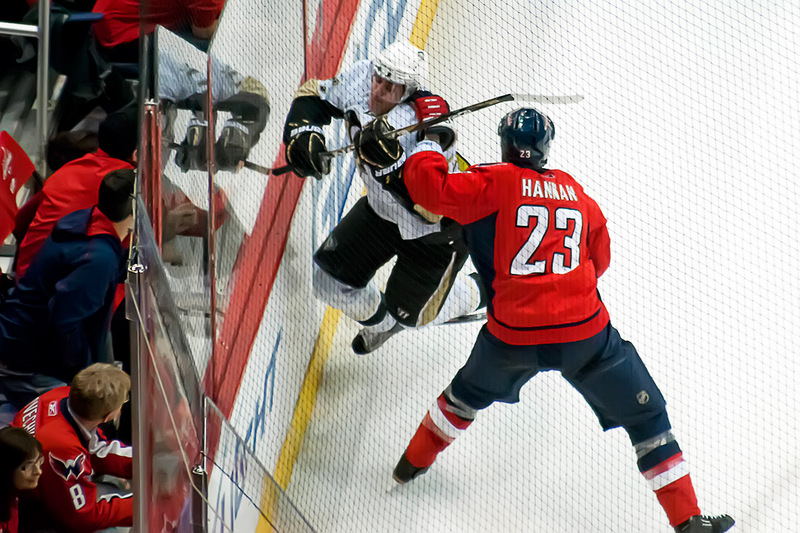 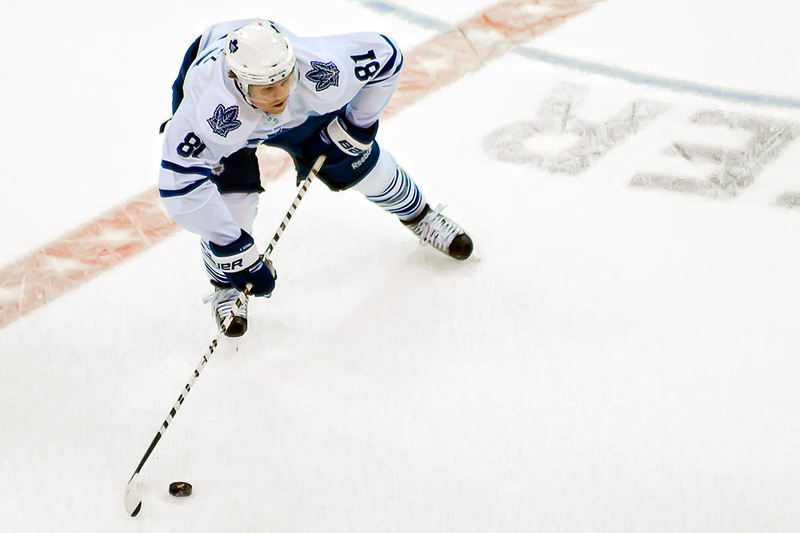 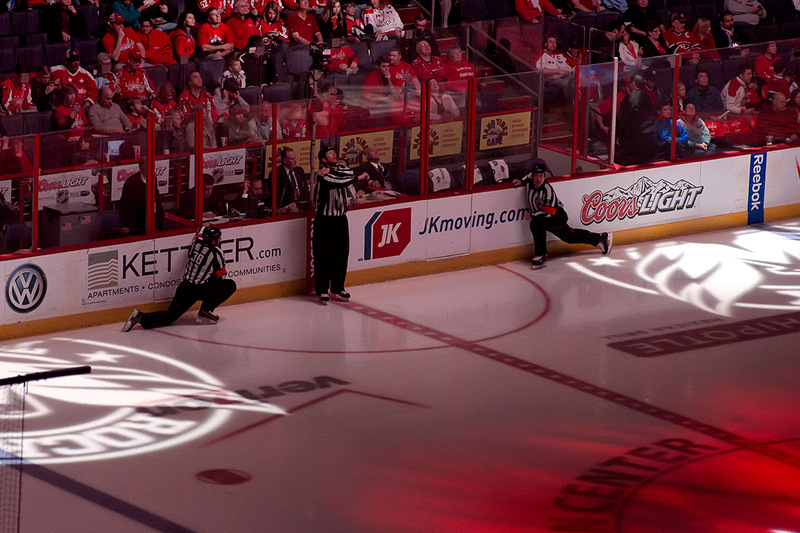 Read more about the game by people that can actually write about games like Russian Machine, Ed Frankovic, On Frozen Blog, Japer’s Rink, and District Sports Page. 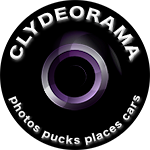 Look at my photos below or on flickr.